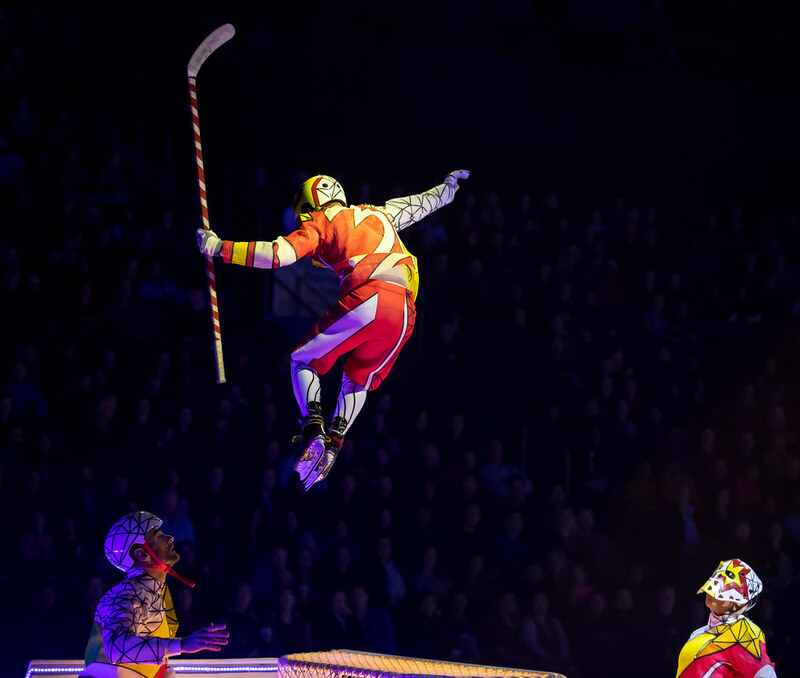 Cirque du Soleil Crystal is performing at the HEB Center in Cedar Park from Wednesday, February 14 through Sunday, February 18. 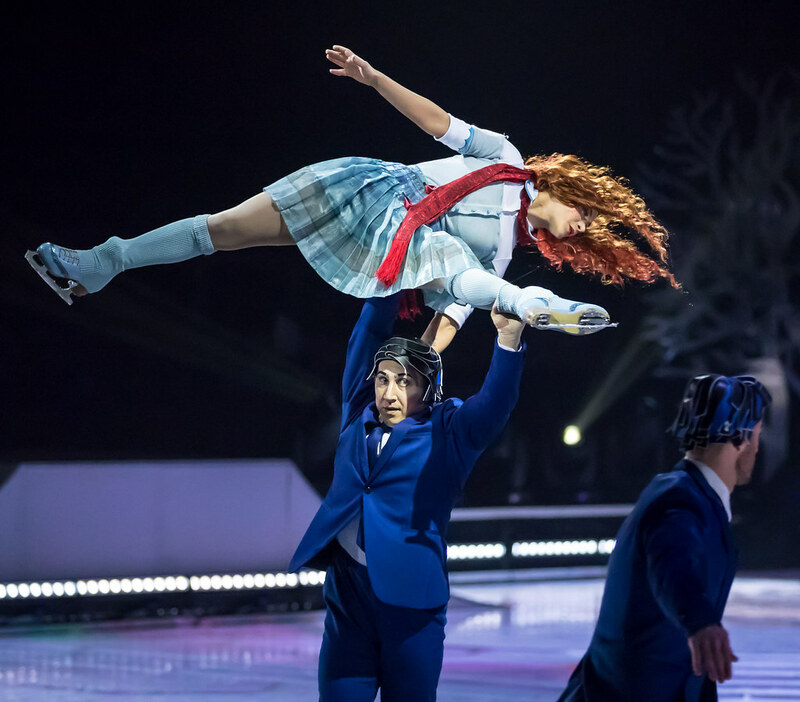 Watch world-class ice skaters and acrobats claim their new frozen playground with speed and fluidity as they challenge the laws of gravity with never-before-seen acrobatics. 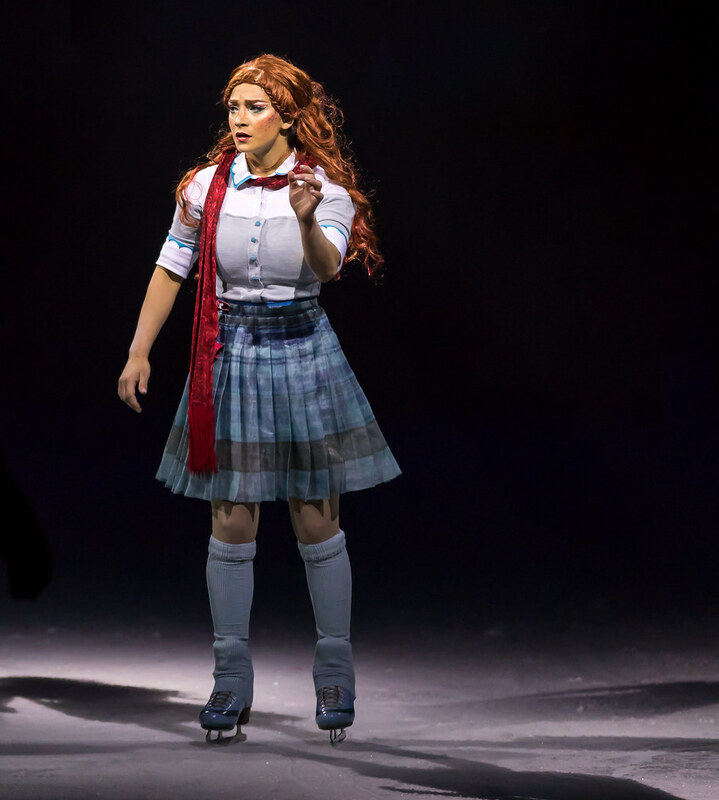 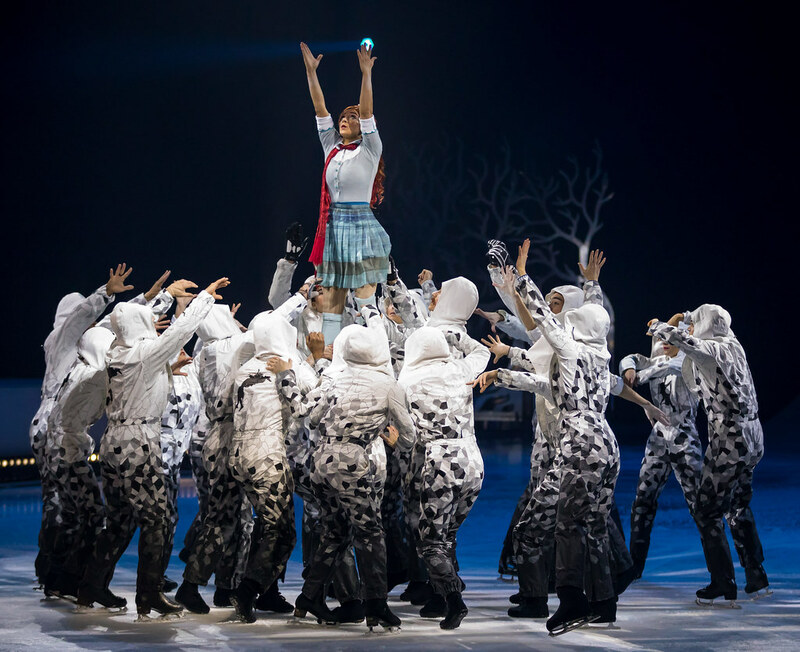 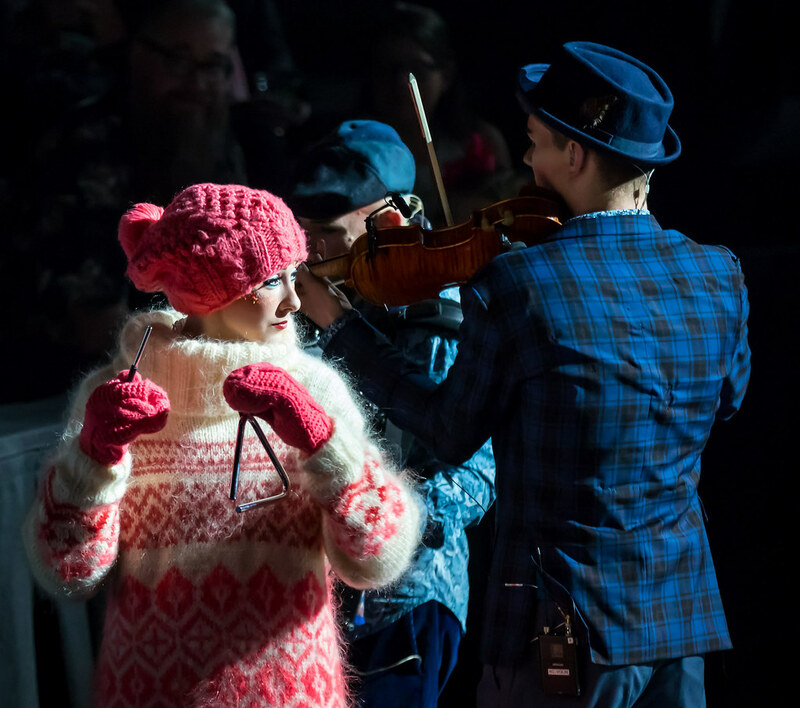 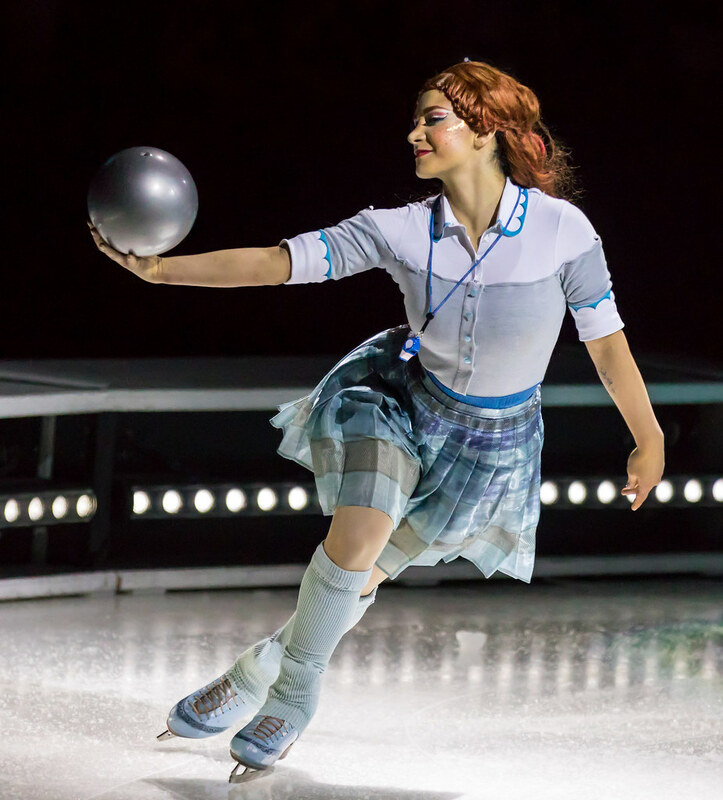 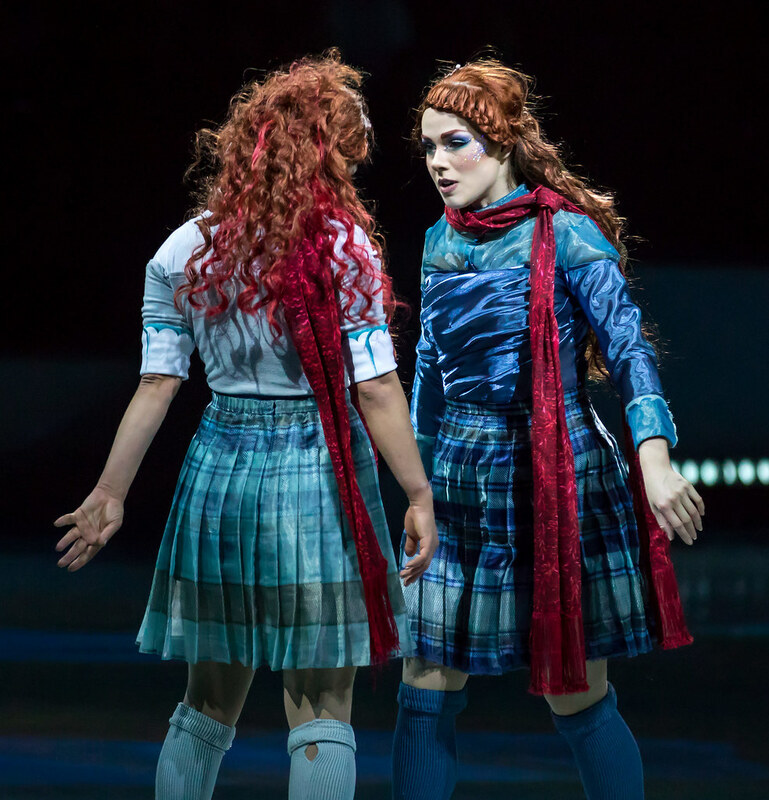 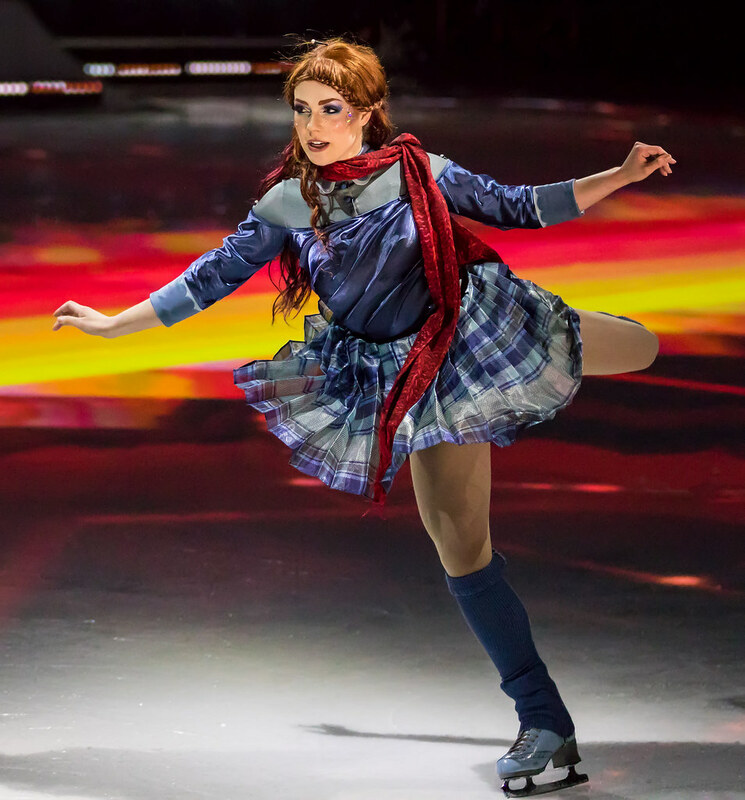 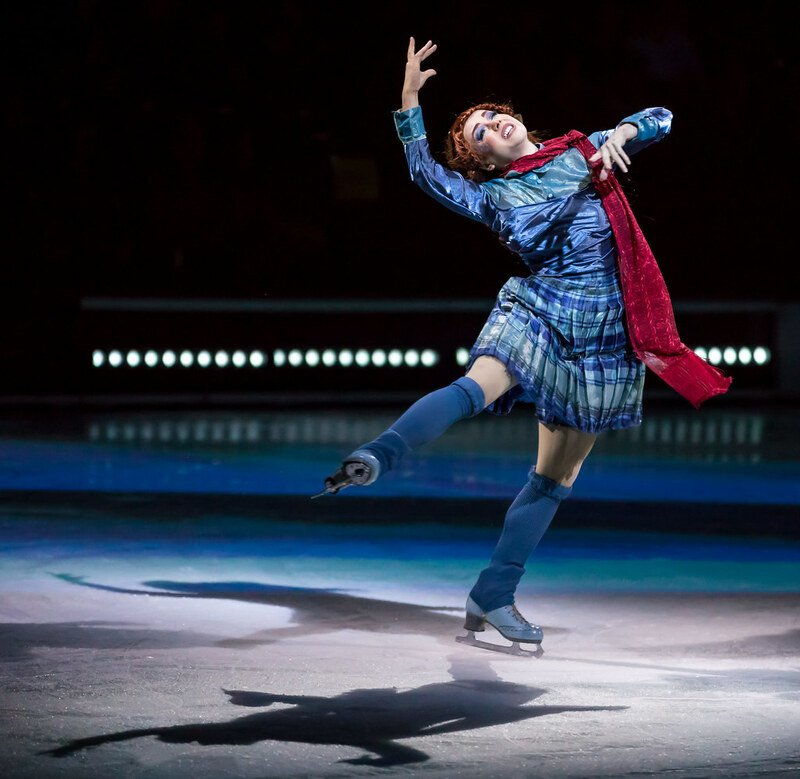 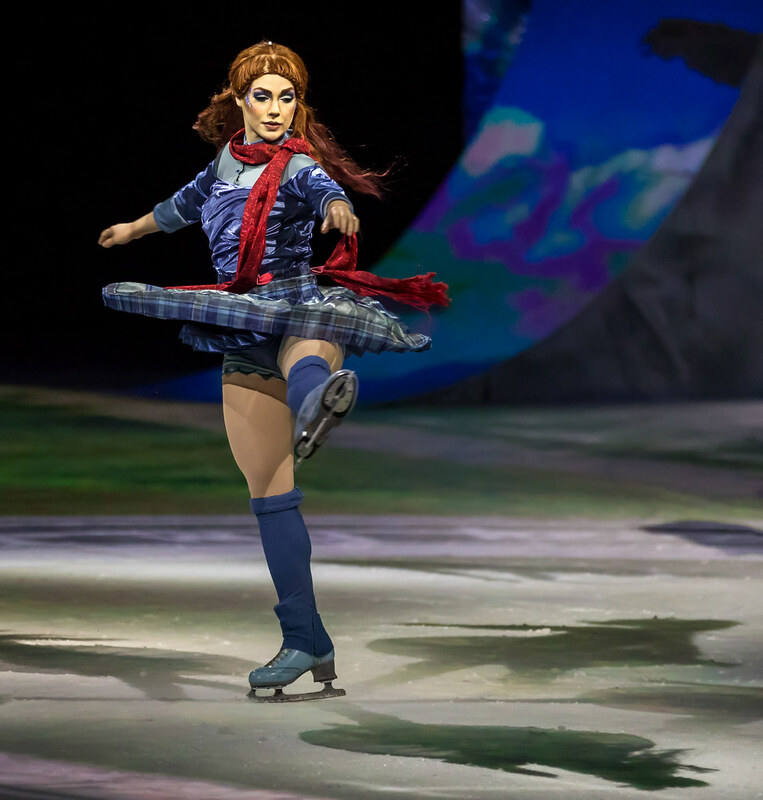 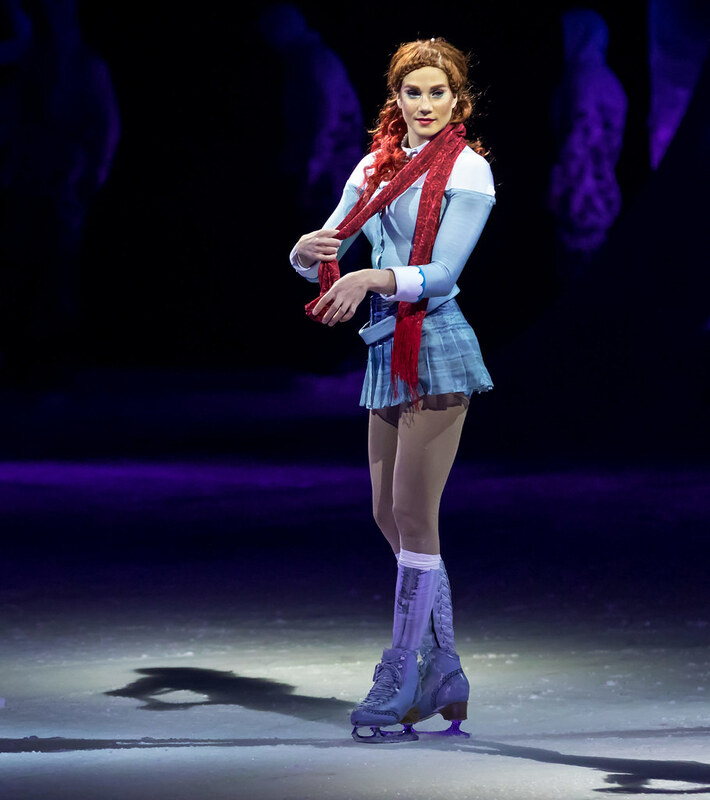 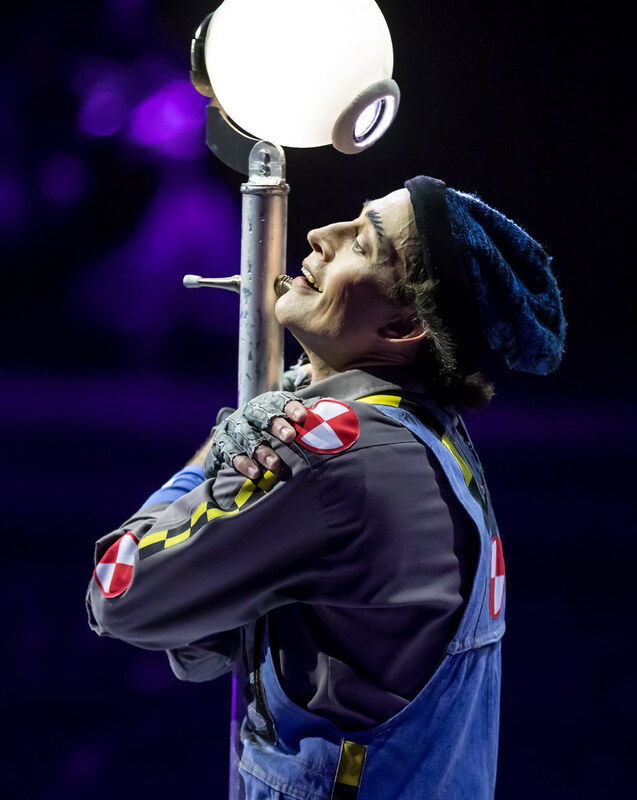 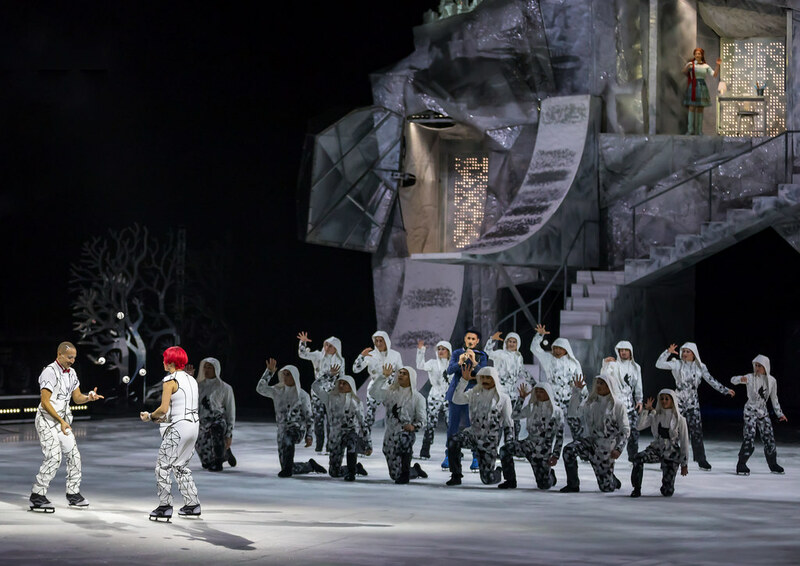 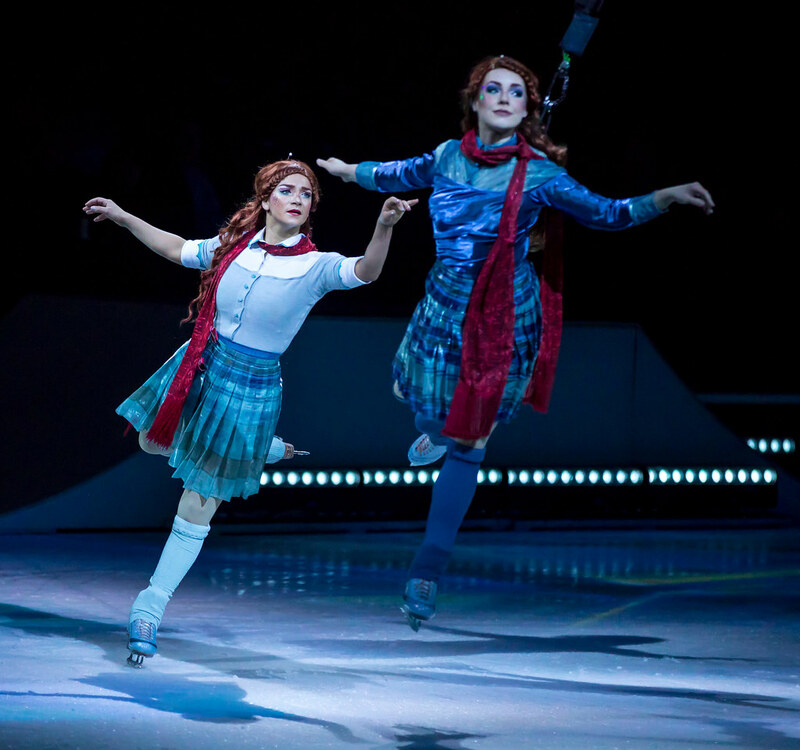 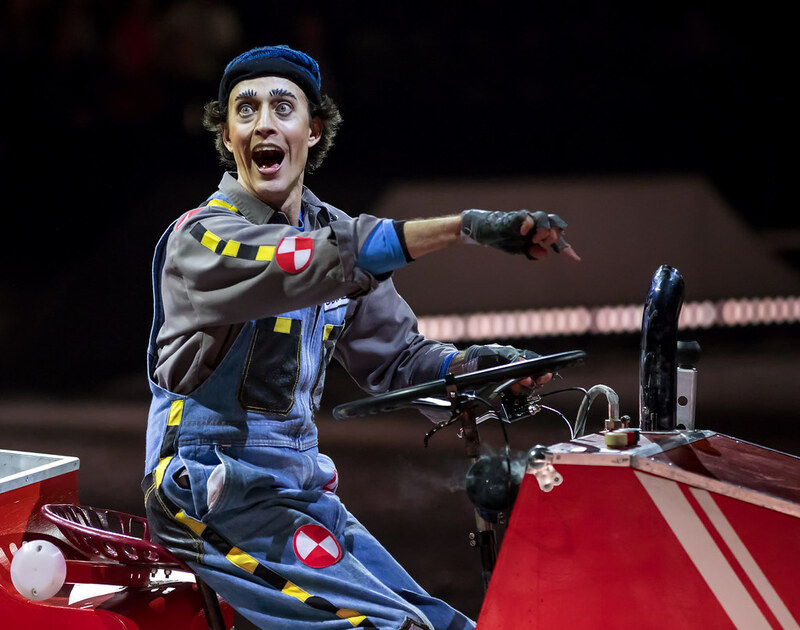 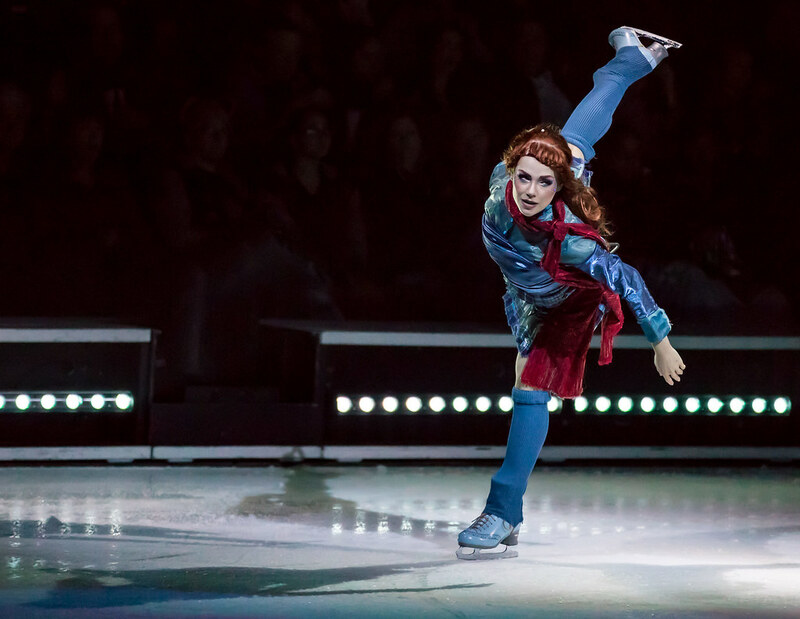 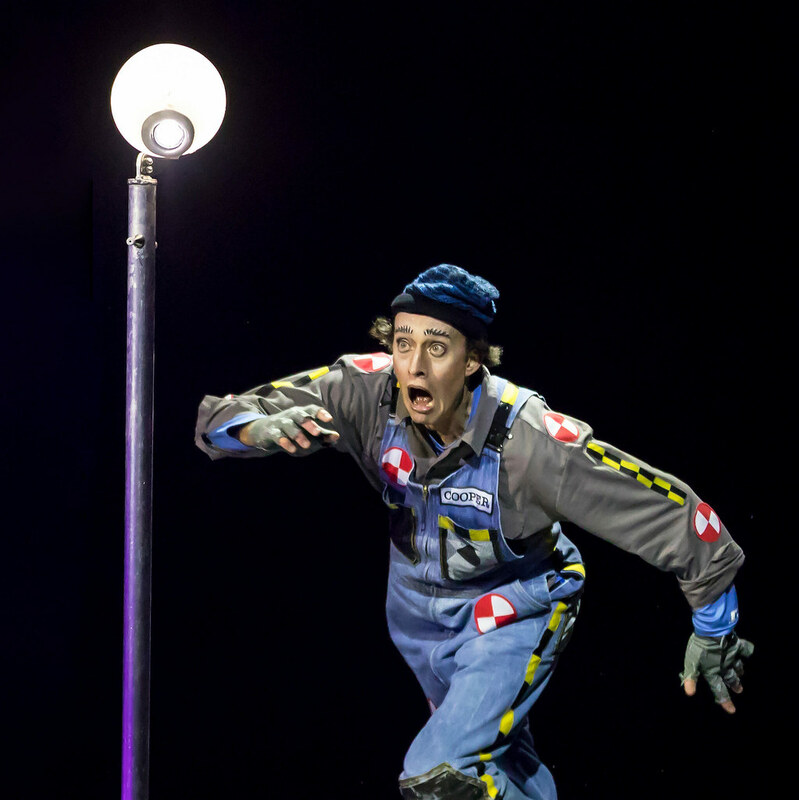 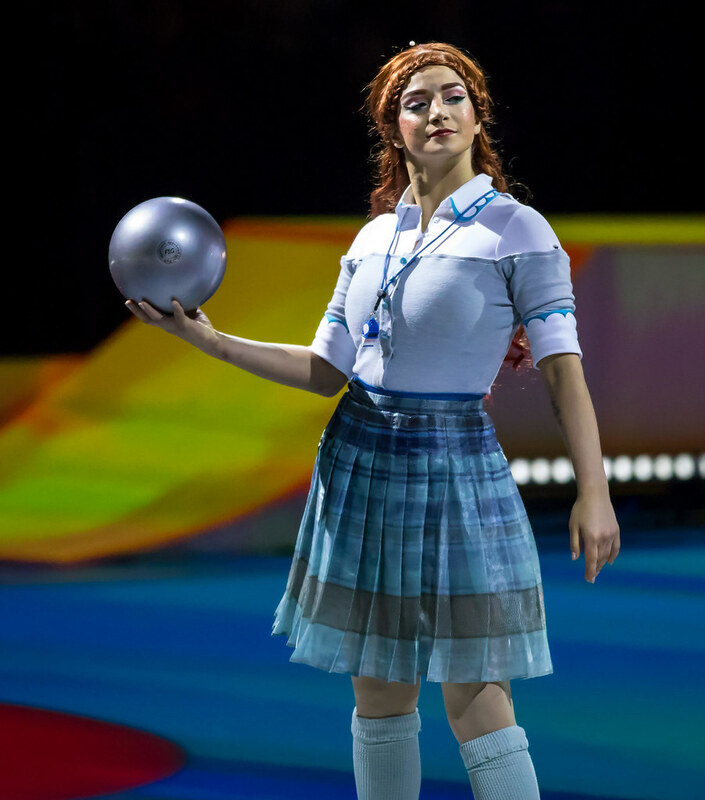 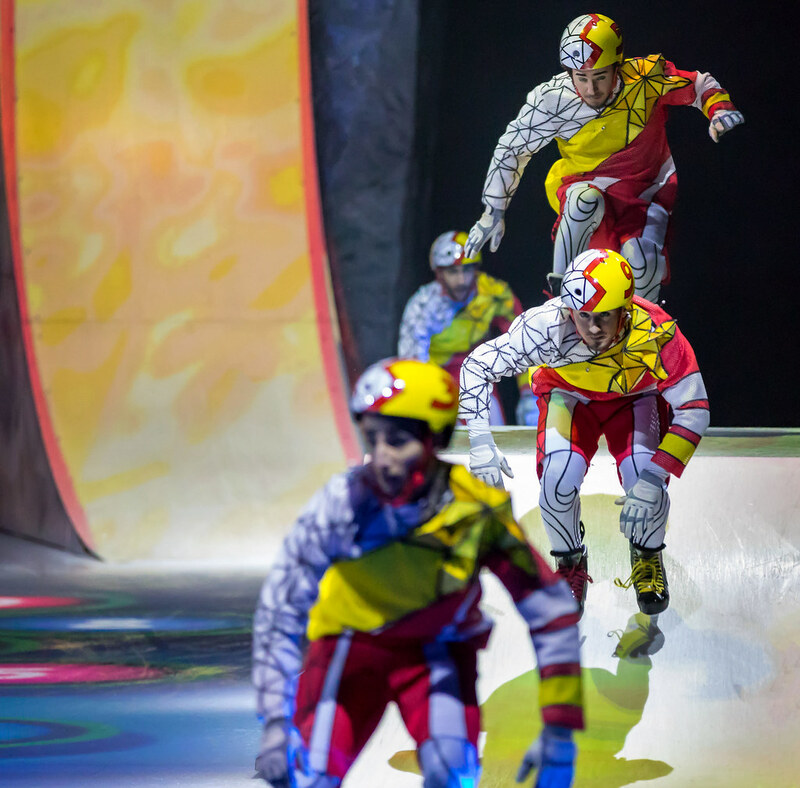 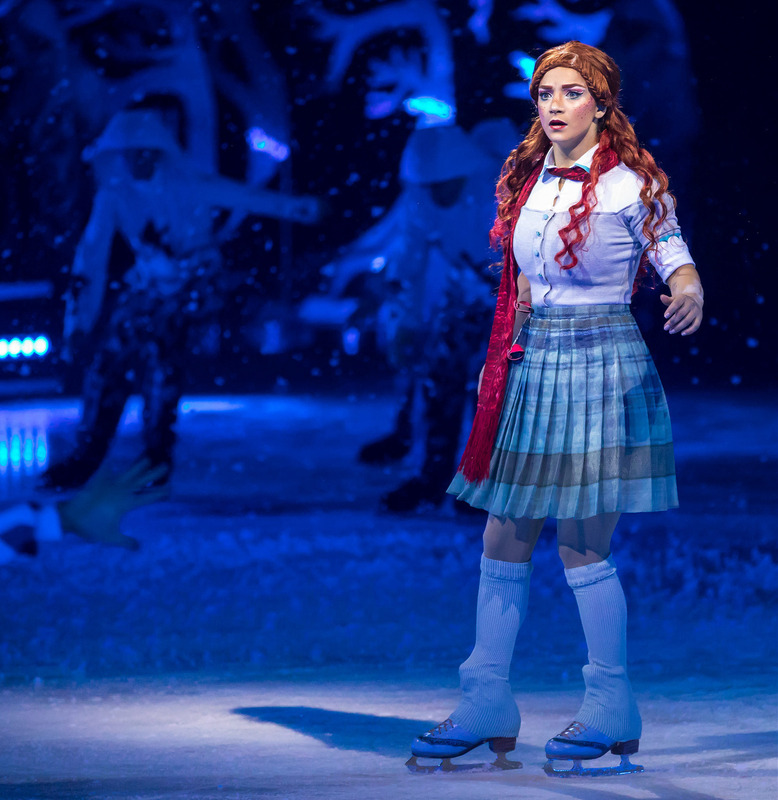 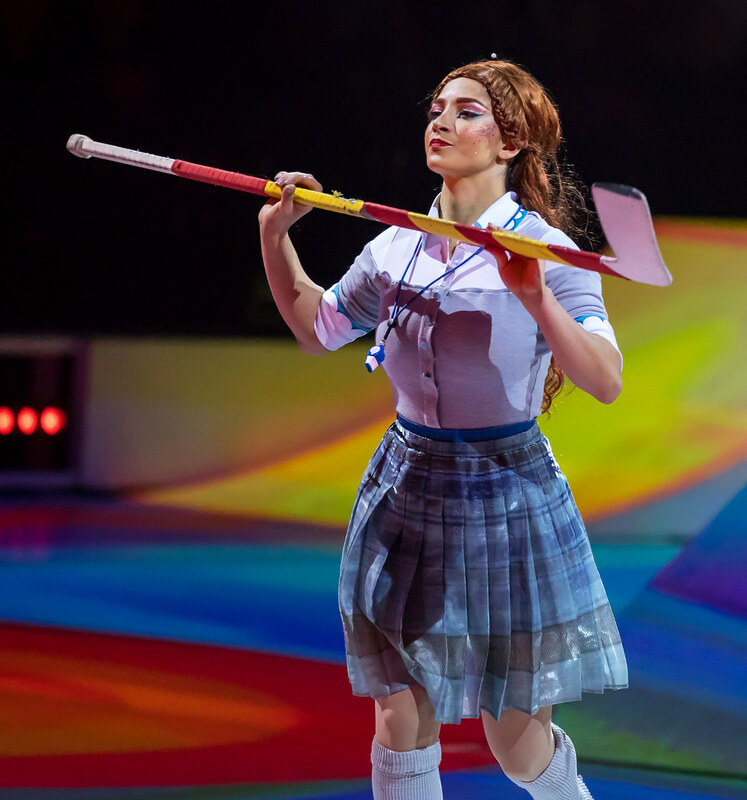 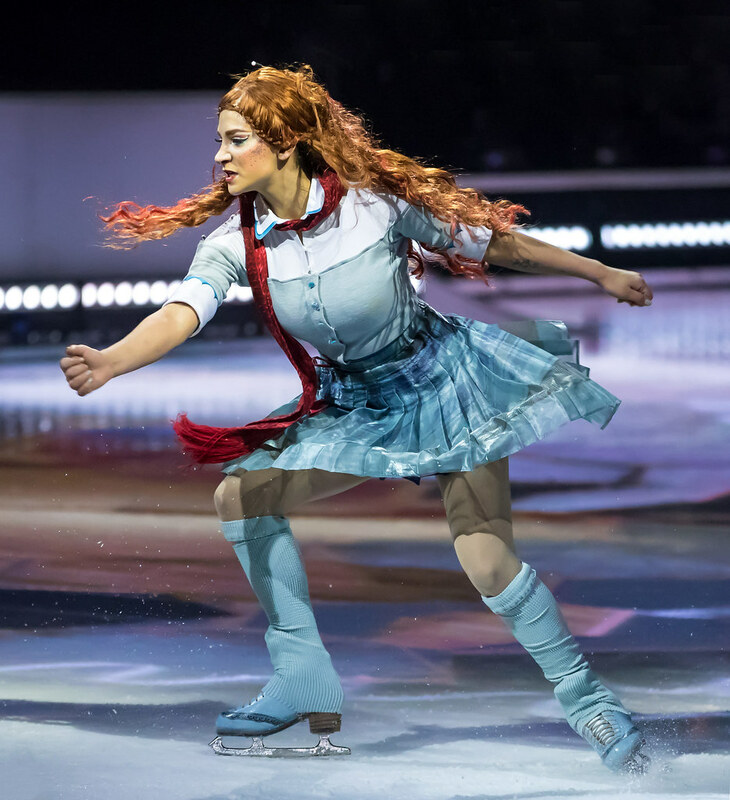 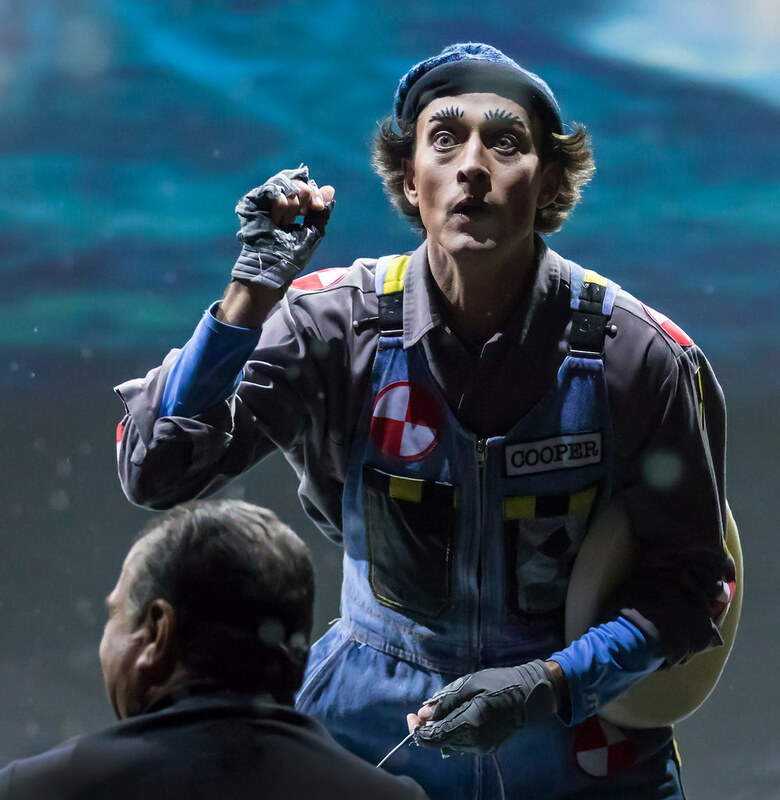 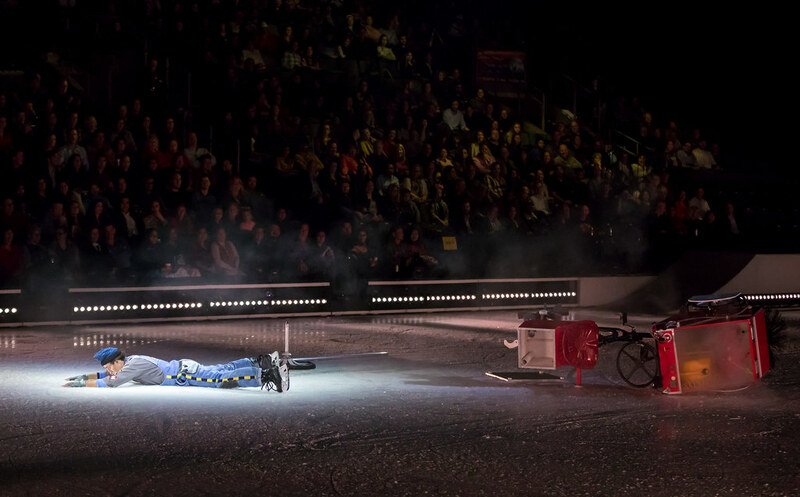 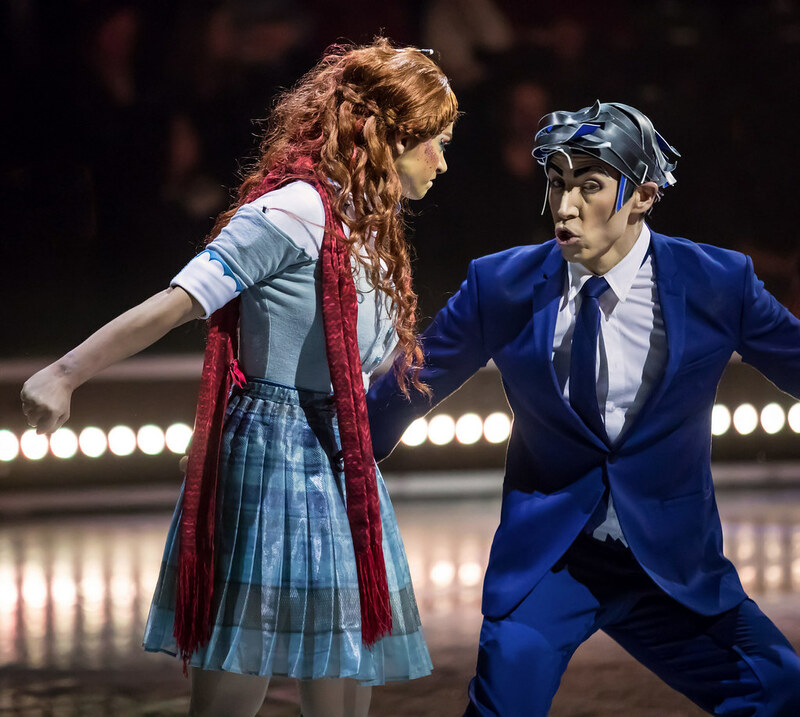 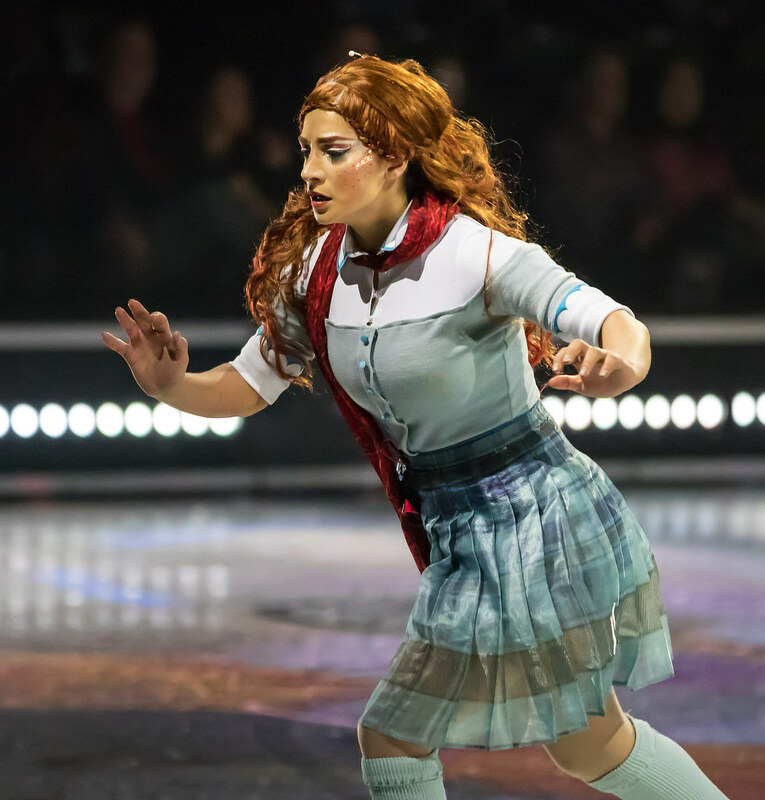 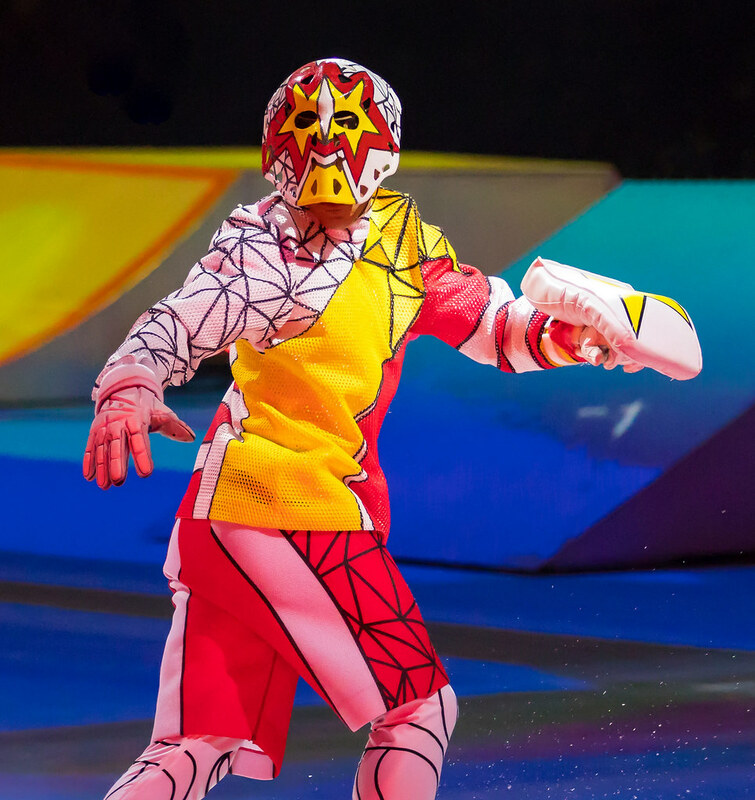 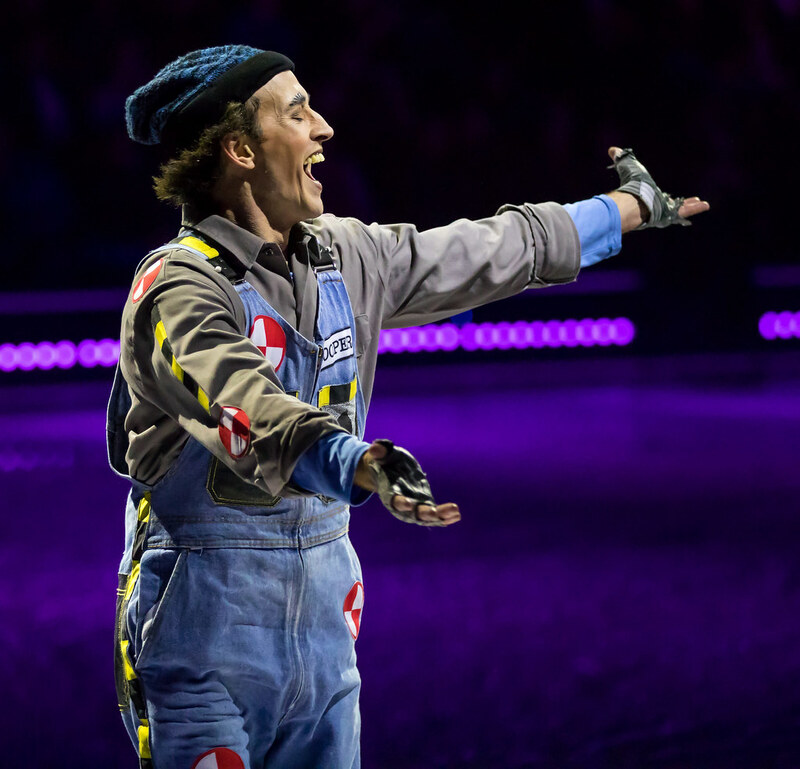 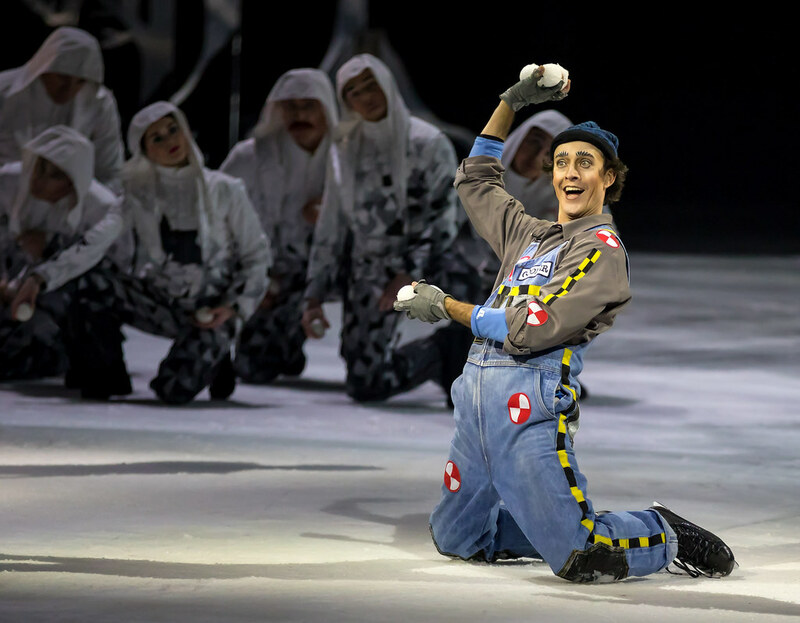 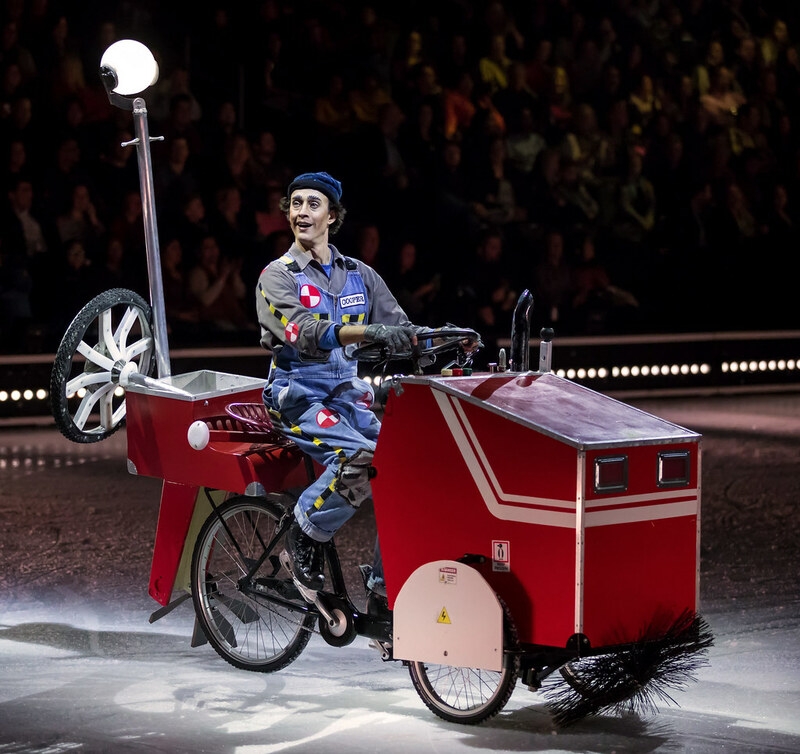 A new kind of performance as Cirque du Soleil meets the ice to defy all expectations. 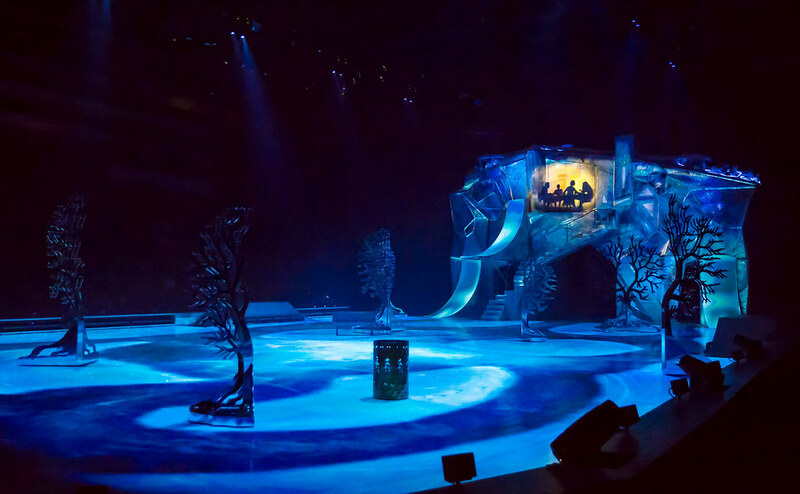 The show is incredible; the story, set design, costumes, makeup, music and performers all combine into a thrilling and awesome experience. 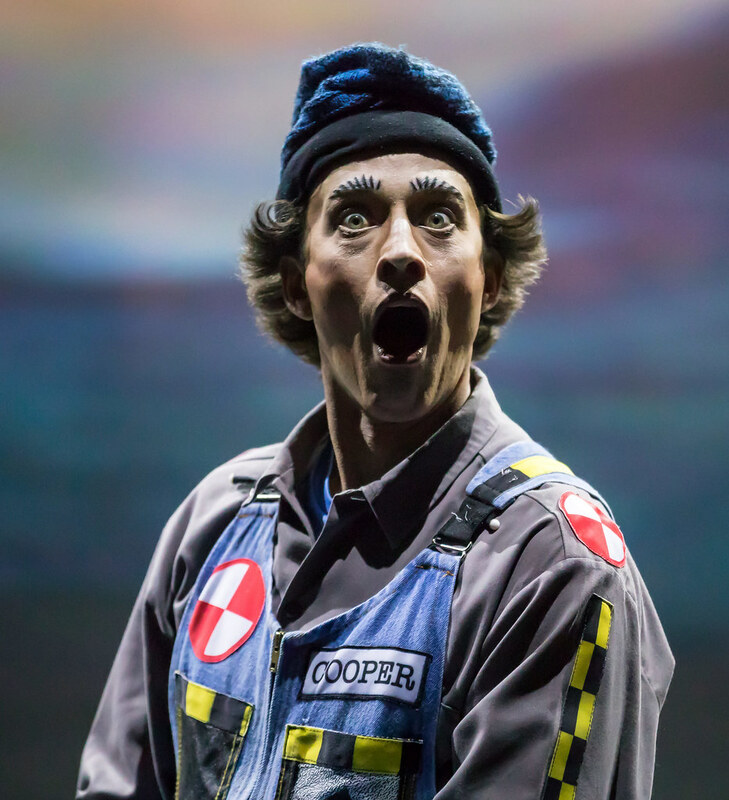 Some recent Facebook reviews. 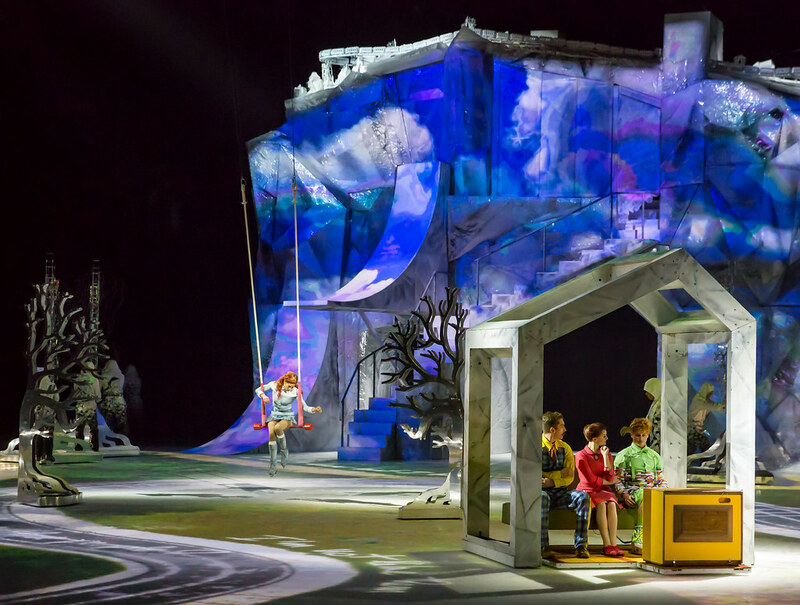 "Few things are worth keeping the kids up late for. 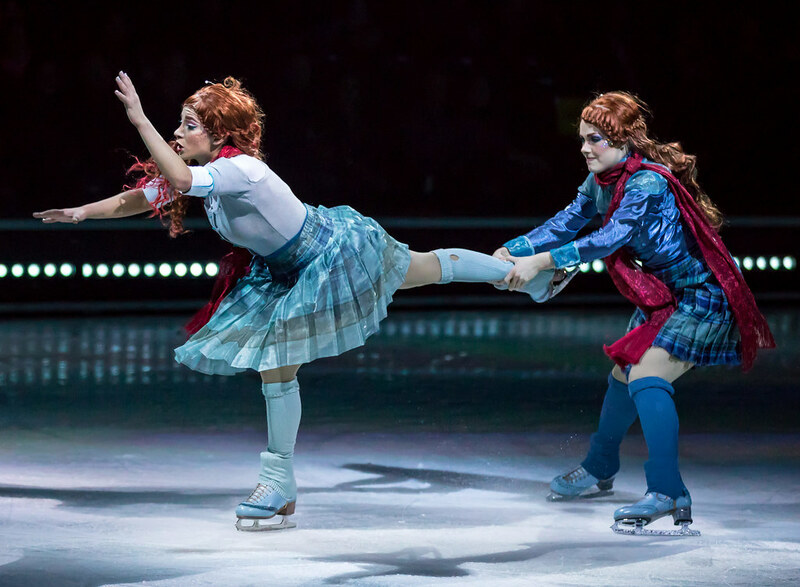 This was one of them. 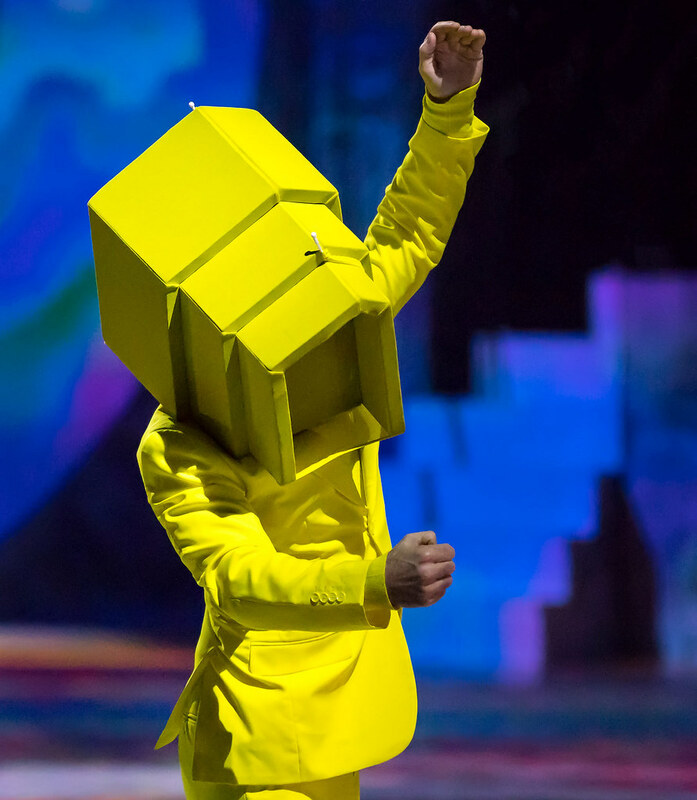 Highly recommend." 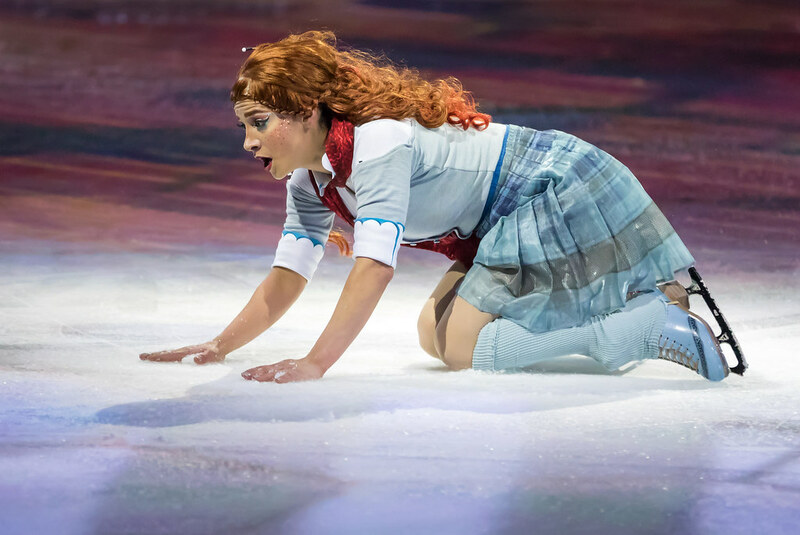 "10 out of 10 stars!" 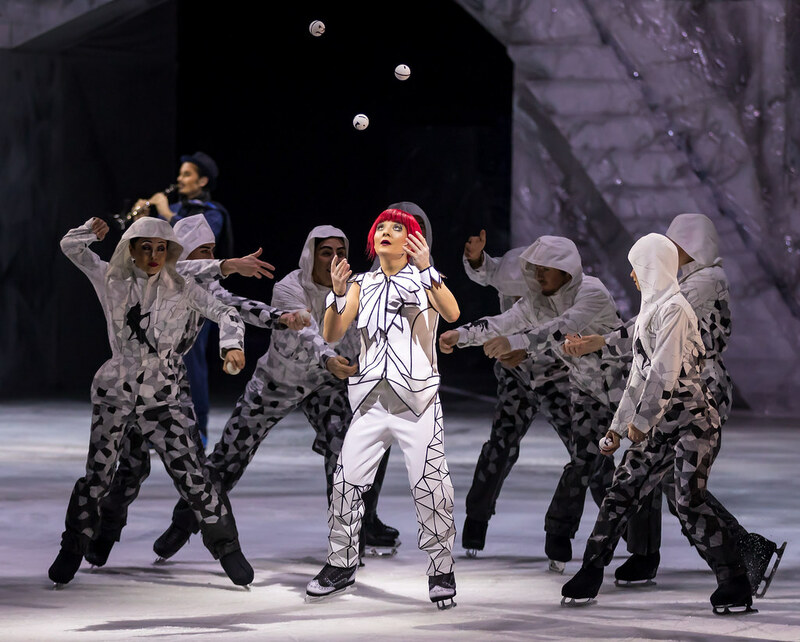 "I was super impressed by Cirque du Soleil new show Crystal! 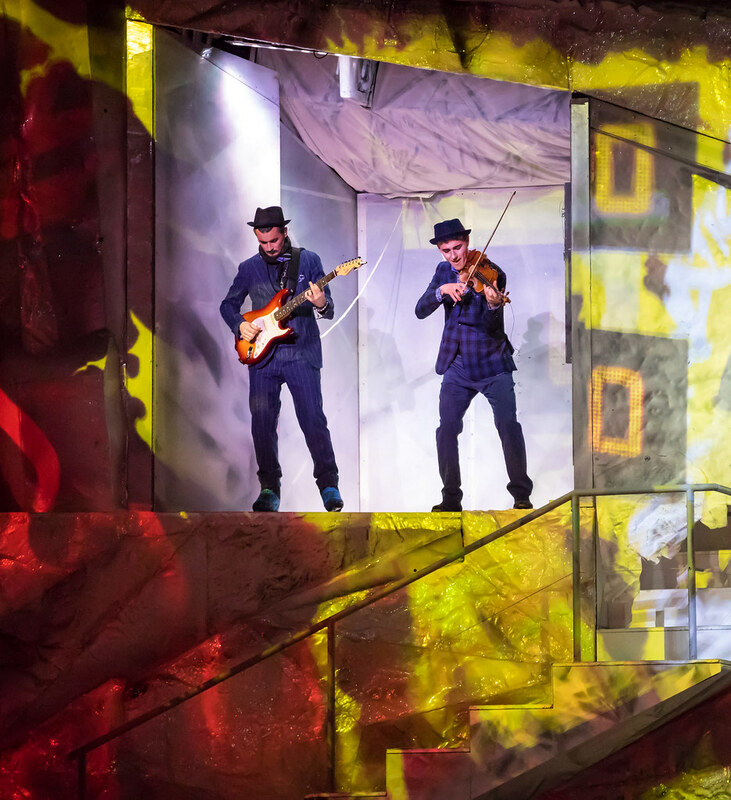 Some really talented class acts, go check out their show!" 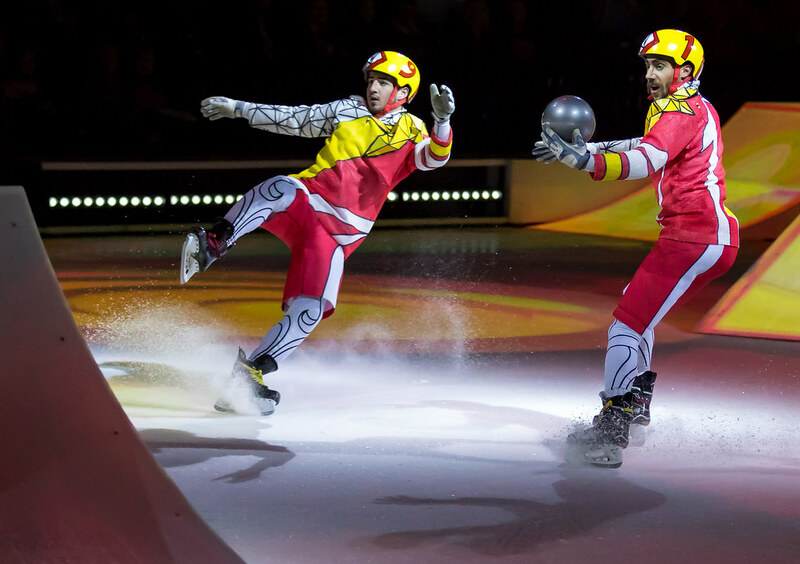 "This show was absolutely awesome. 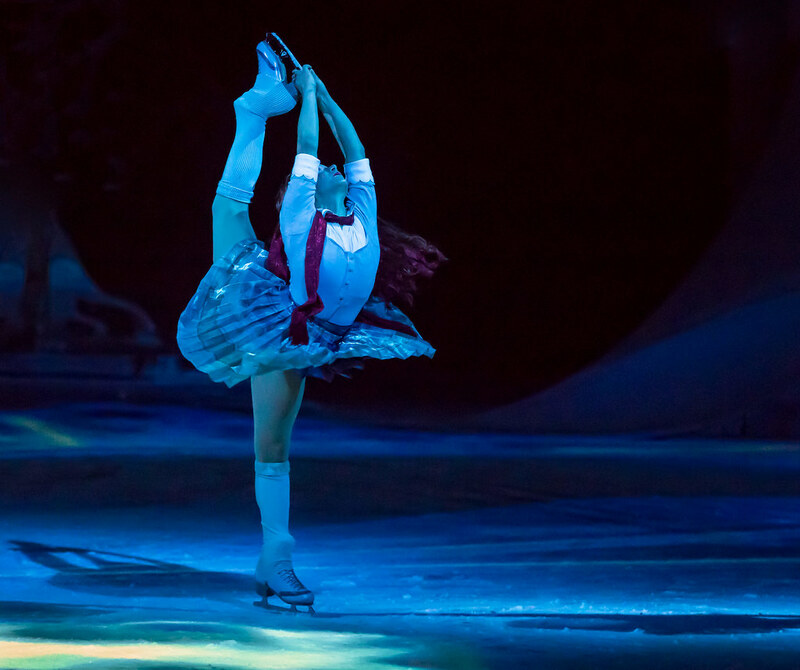 It is hard to put into words how amazing it was." 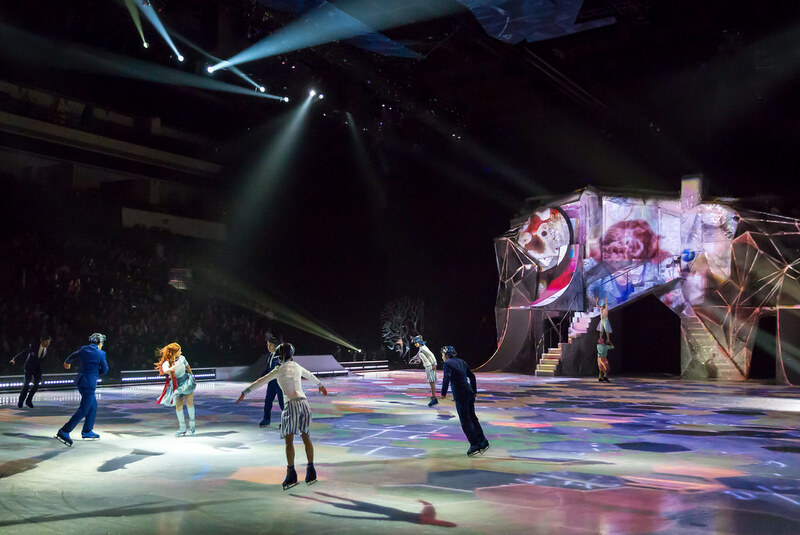 "We had such a great time at Cirque du Soleil Crystal! 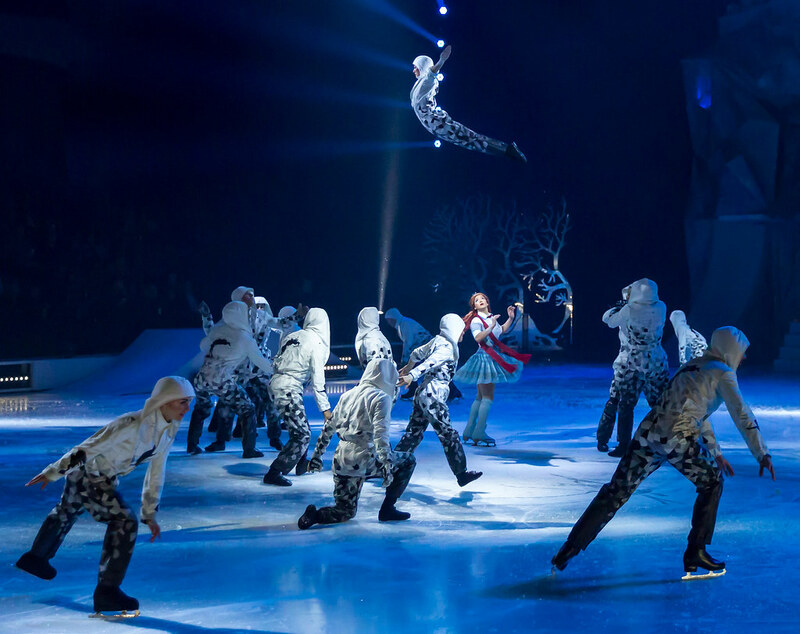 These acrobats and ice skaters are amazing!" 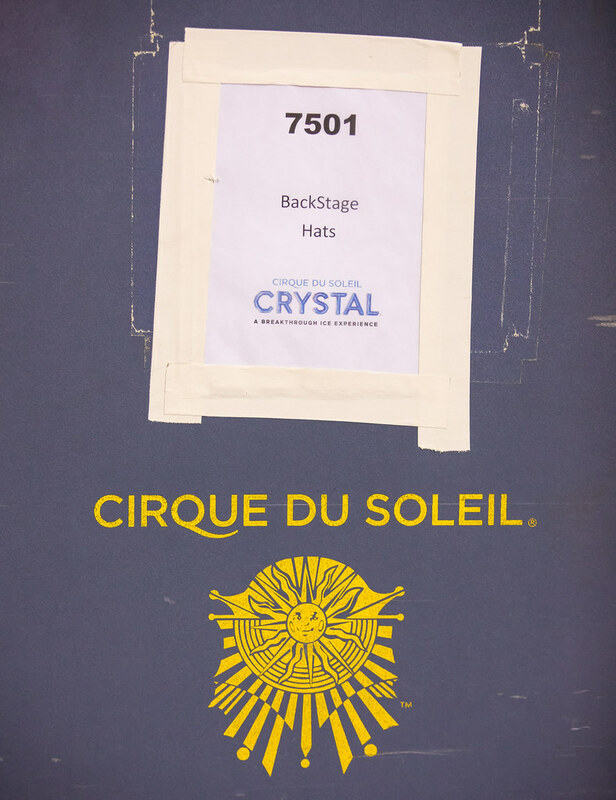 "I enjoyed Crystal so much. 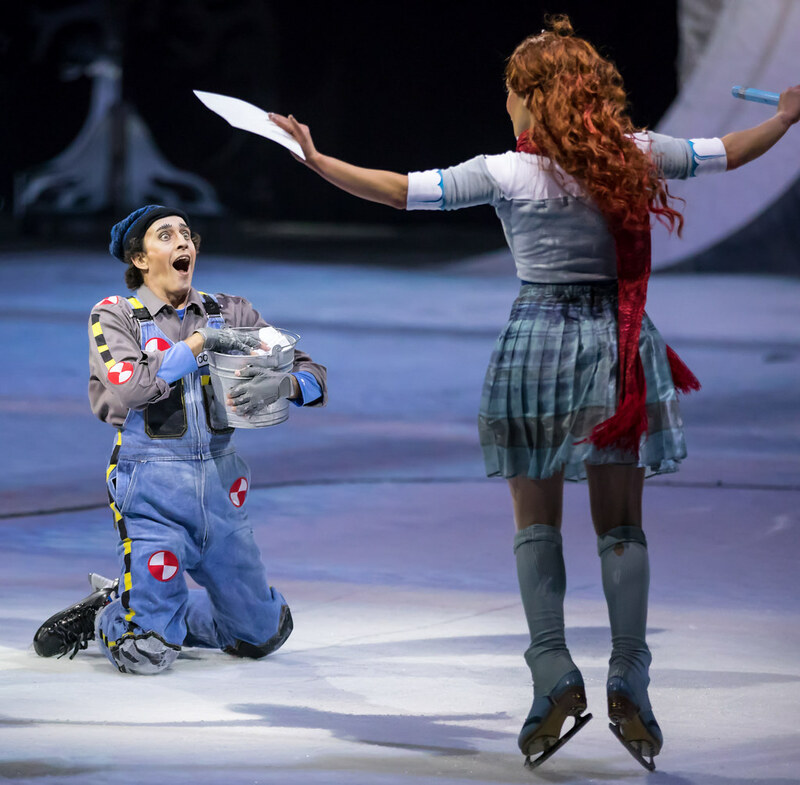 It was a joyous surprise and a needed experience." 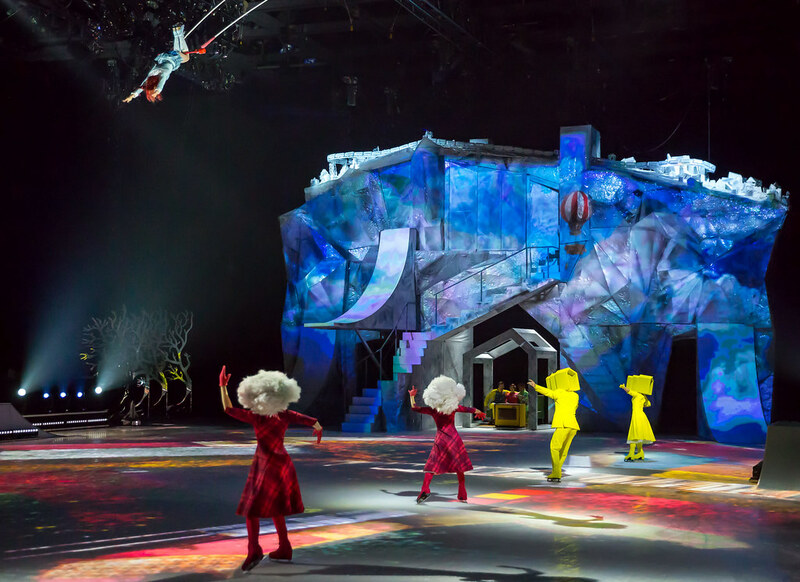 "Cirque Du Soleil Crystal (first time they have been on Ice) don’t miss it ! 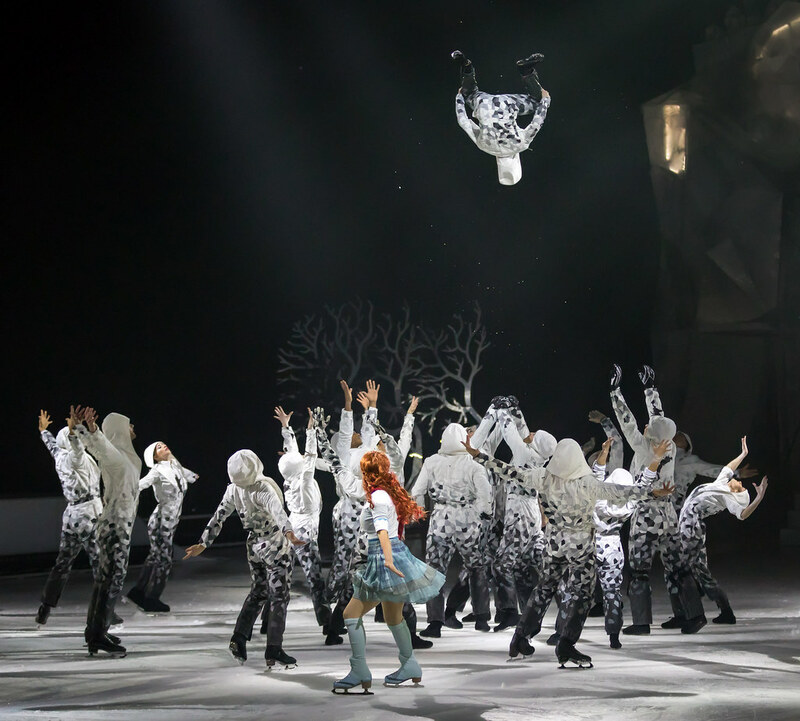 There is so much to see it was just magical!" 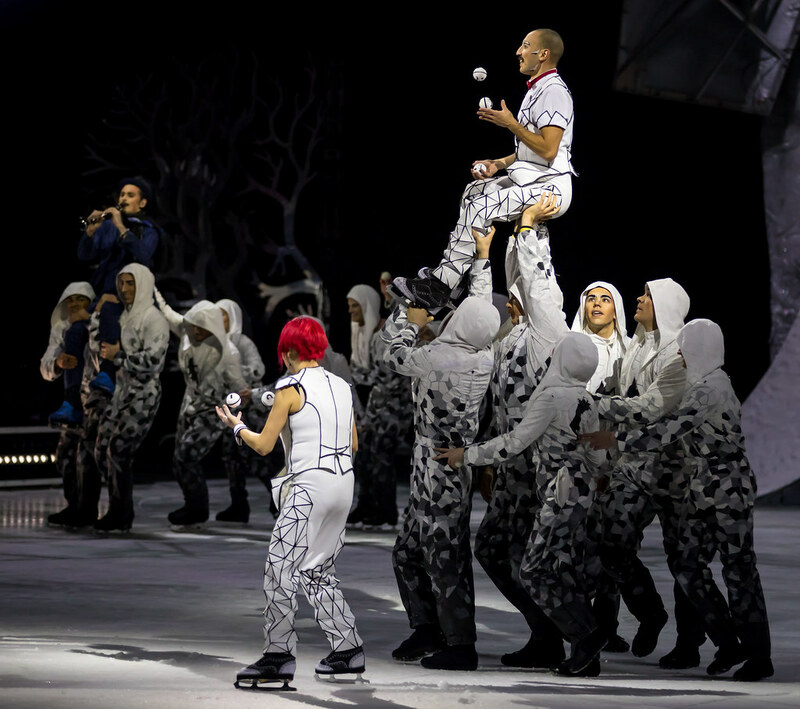 "Seeing the Winter Olympics in person costs thousands of dollars. 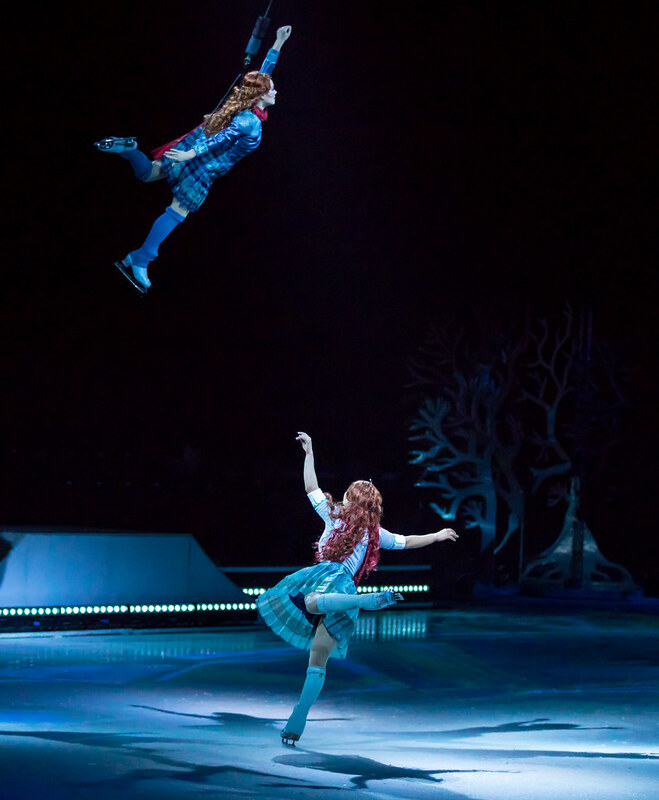 Instead, I suggest Cirque du Soleil's current show, Crystal, entirely on ice, which presents Olympian caliber athletes throughout. 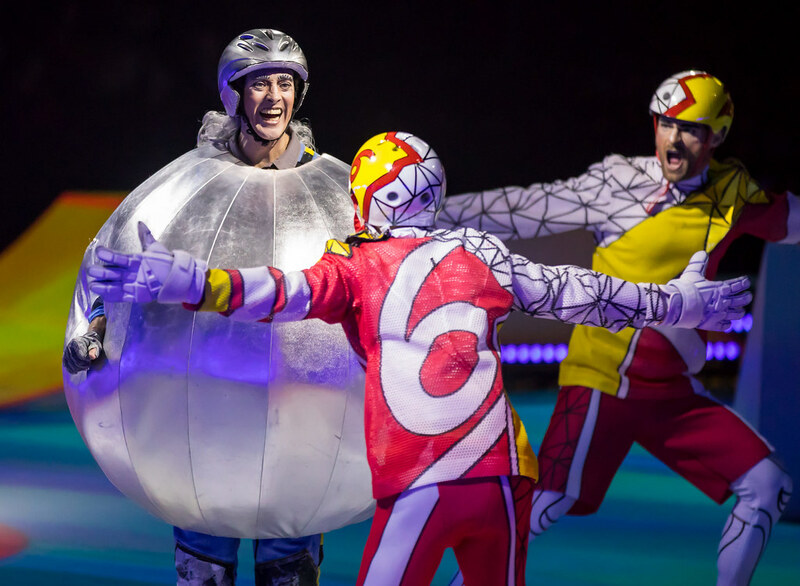 In addition to witnessing spectacular, mind-blowing, heart-pounding, death-defying feats you've never imagined possible, you'll be transported to a whimsical, moving state of pure joy, wonderment, innocence, and delight." 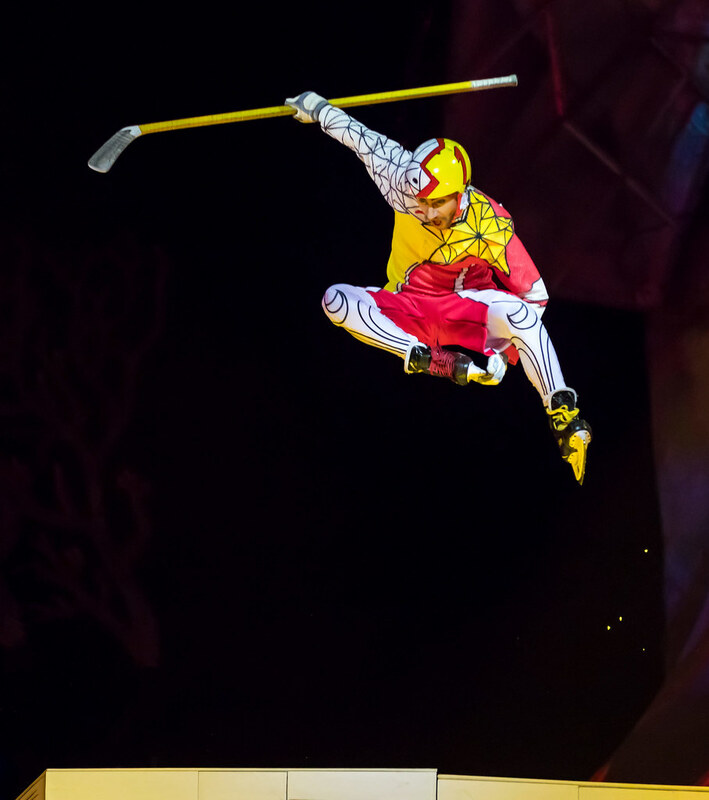 There are two acts in Cirque du Soleil Crystal. 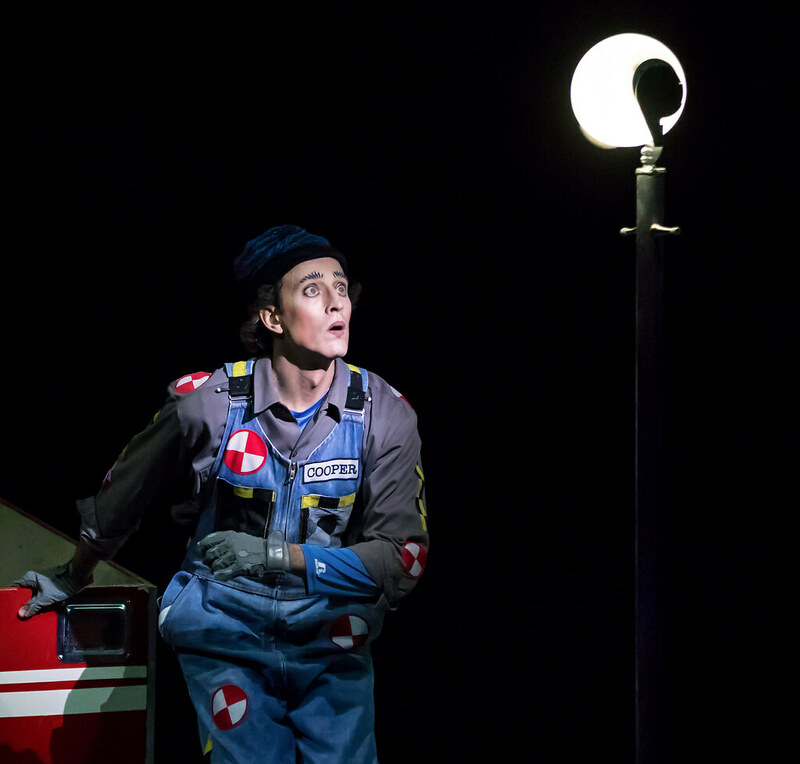 The following is an overview of what you will see in the first act. 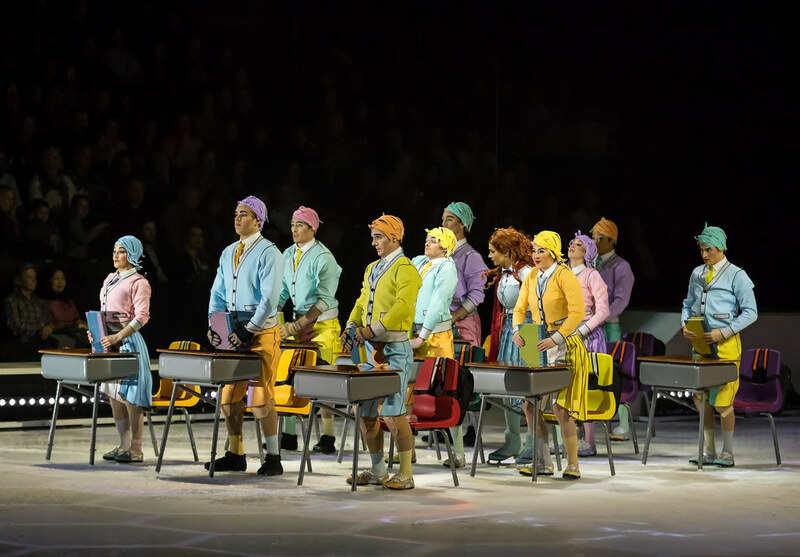 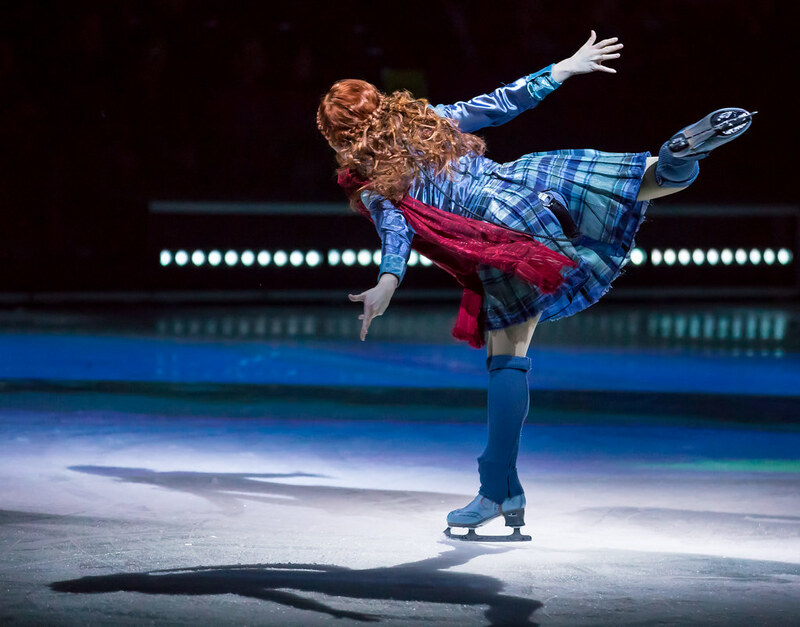 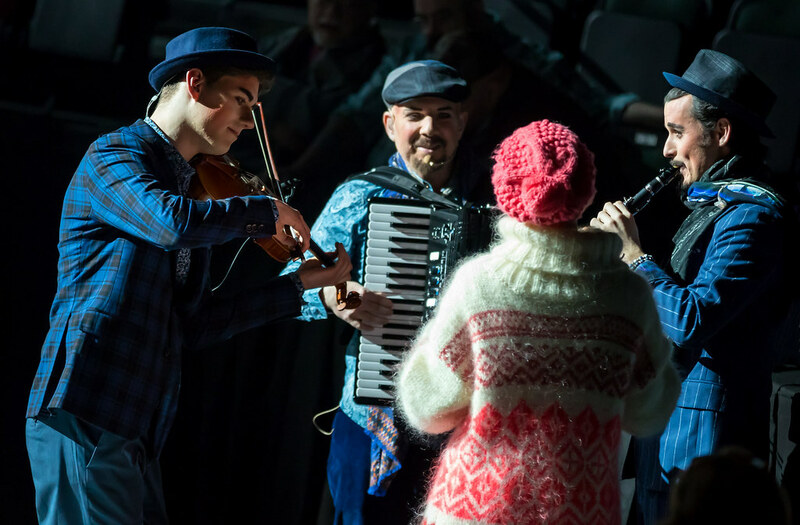 Before the show, the ice transforms into a peaceful icy pond with various skaters and a traveling quartet plays music for the audience. 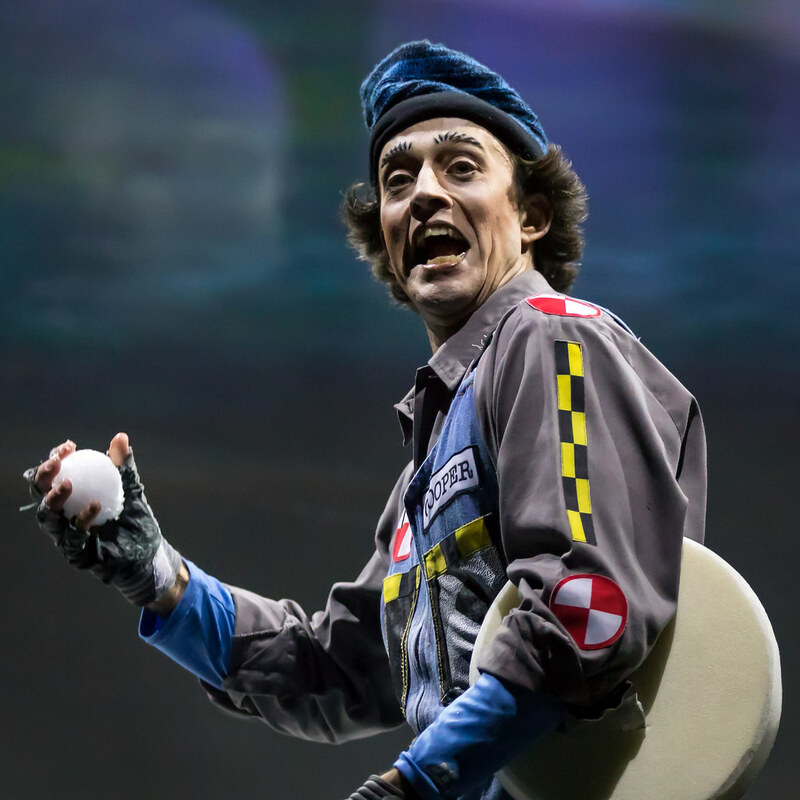 A clown enters and starts a snowball fight with the audience, other clowns travel through the crowd making sure people can participate in the friendly snowball fight. 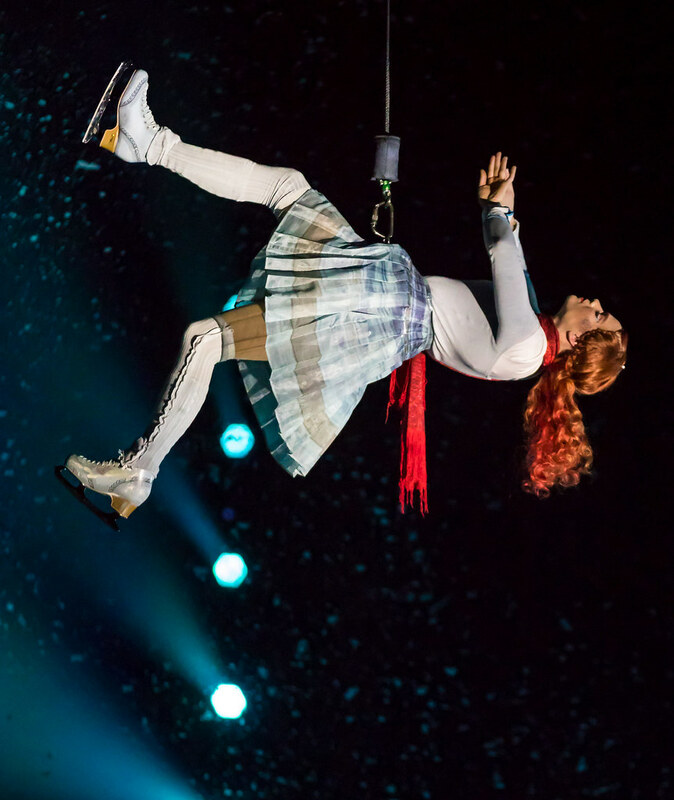 After falling through the ice, Crystal is swept into a swirling vortex of wind and snow as her imagination wanders in a free-fall. 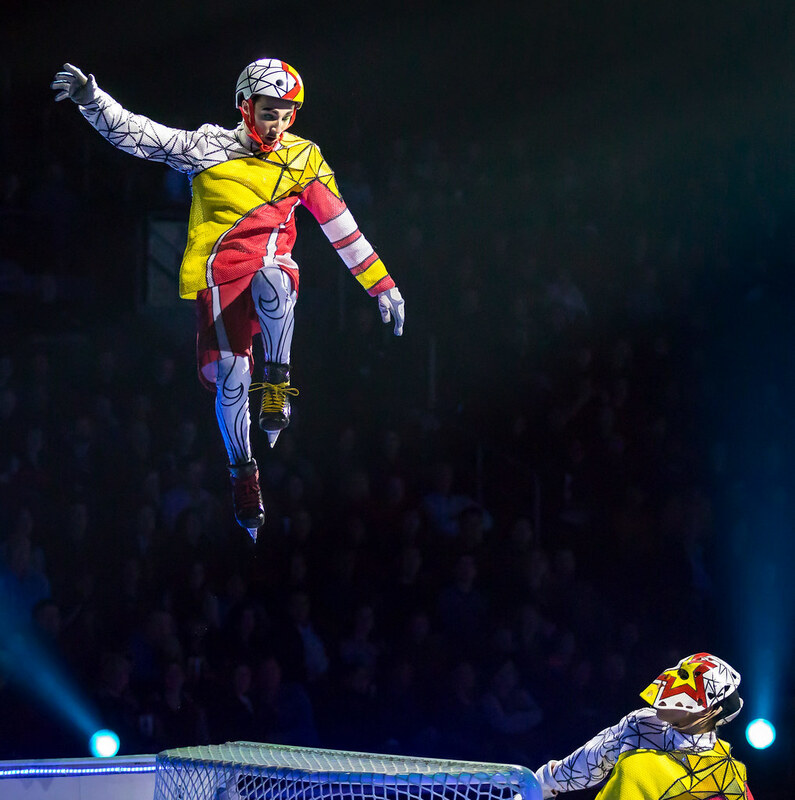 Acrobats and skaters collide in this high-energy performance with interwoven tumbling, jumps, flips, and figure skating. 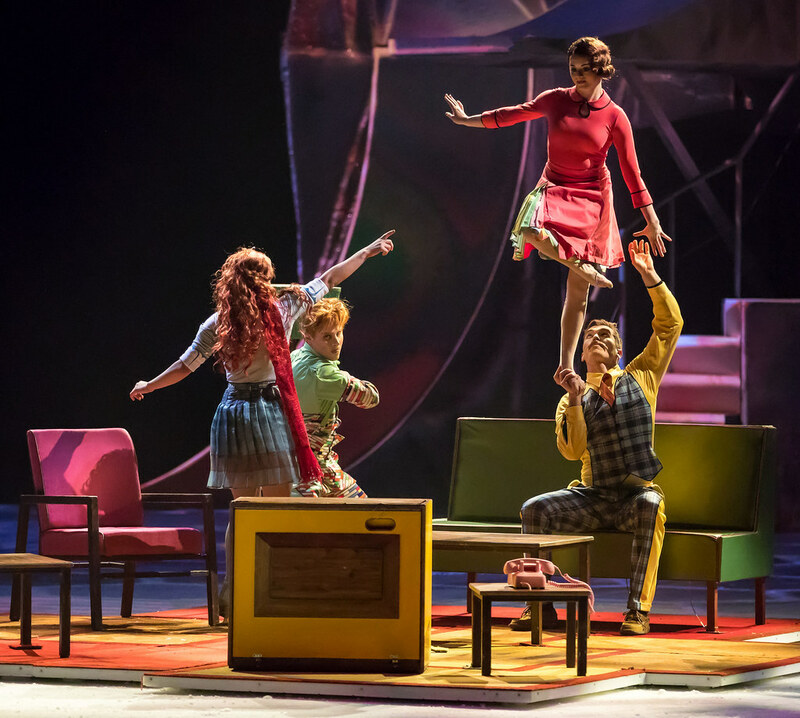 Crystal is caught in a warped and exaggerated version of life where she feels out of sync with home, school, playground, and the city. 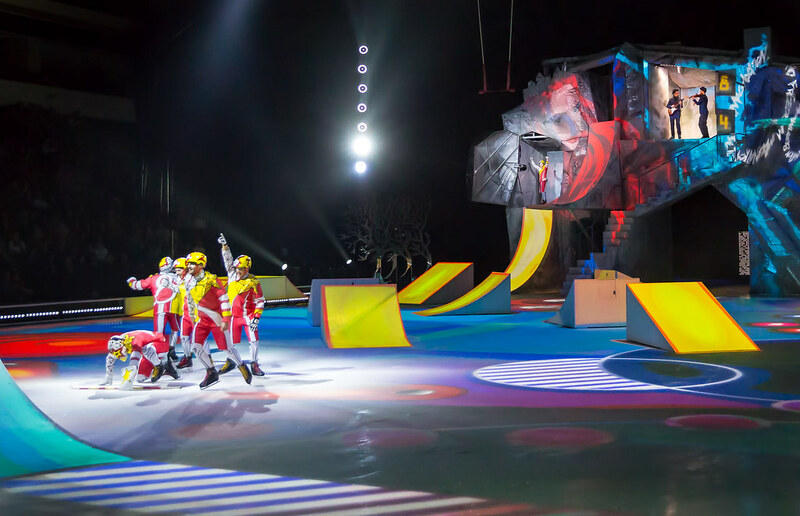 Acrobats and skaters blend into a colorful and energetic performance. 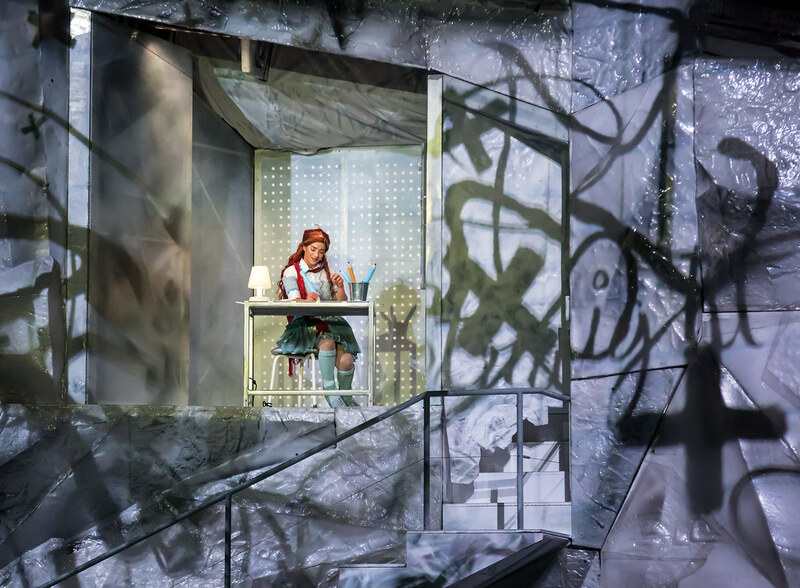 After chasing away her flashbacks, Crystal decides to take control of her environment when she catches sight of her Reflection again. 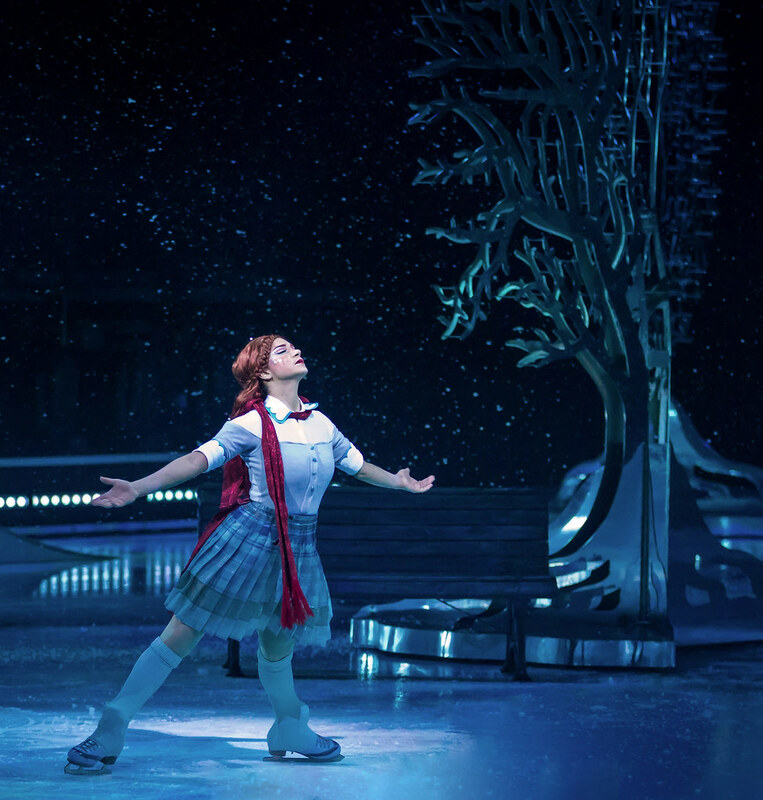 Ultimately, her alter ego spreads darkness all around. 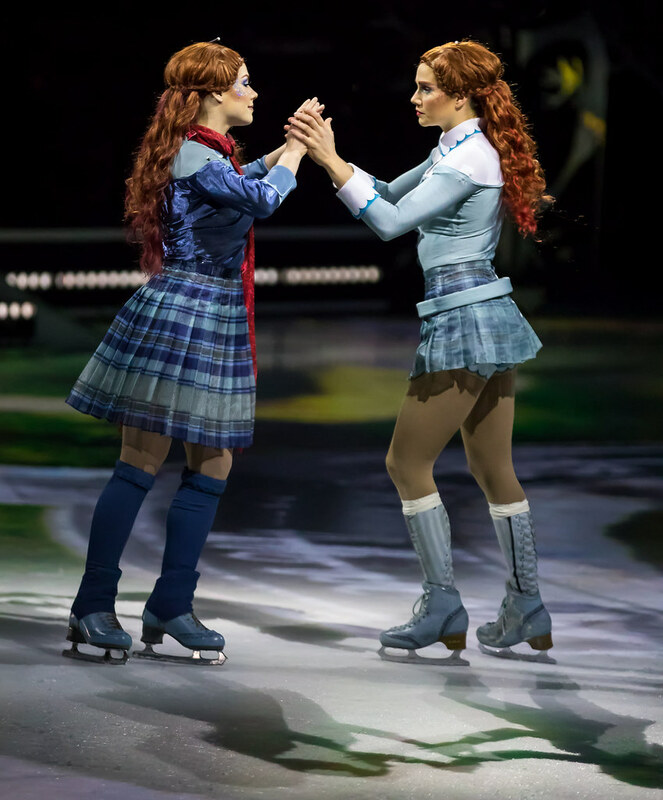 Crystal and Reflection skate in a poetic duo. 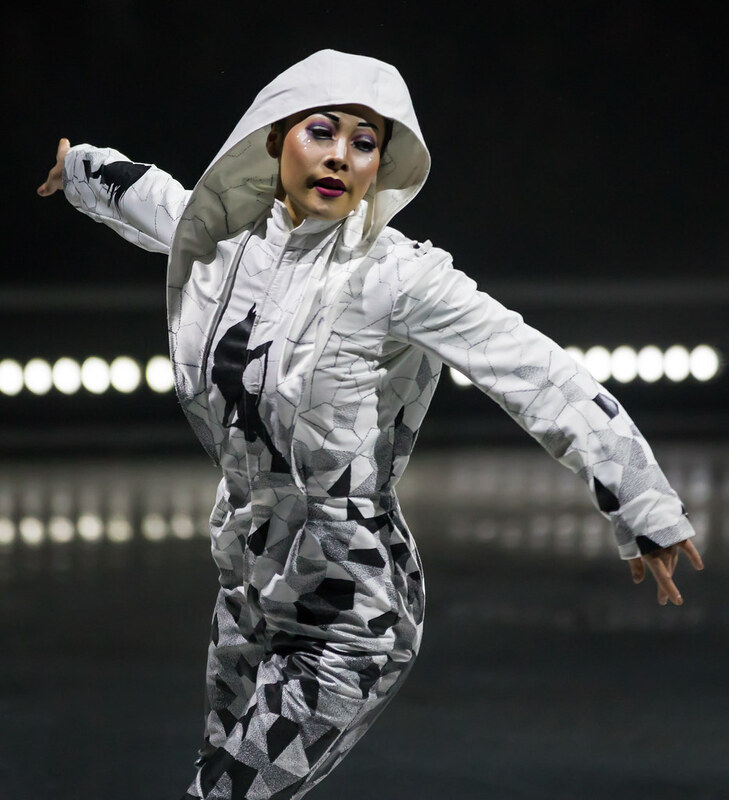 Crystal explore her newfound talent as she gives shape to the impulses of her soul, willing characters into existence with the mere stroke of her pen. 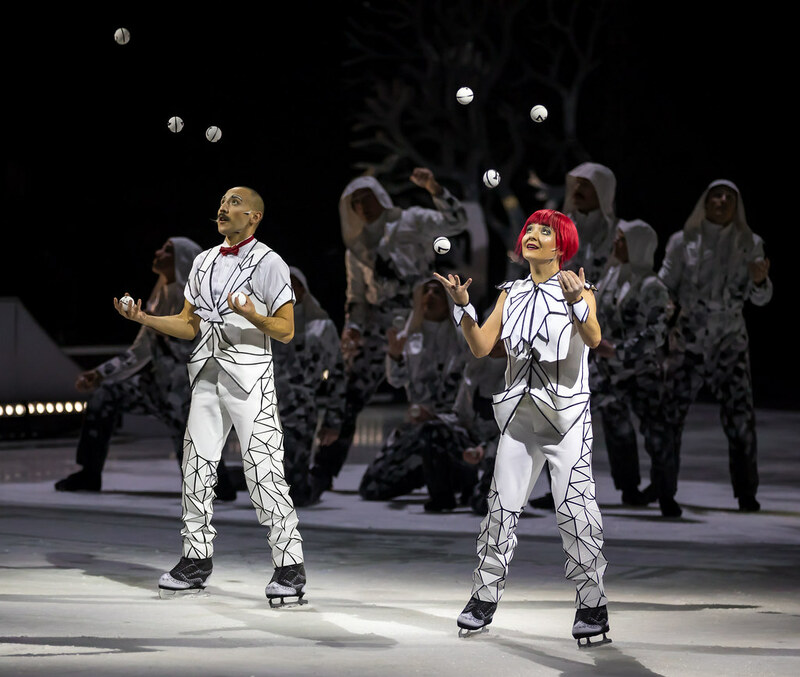 Two jugglers display an incredible set of skills while on skates. 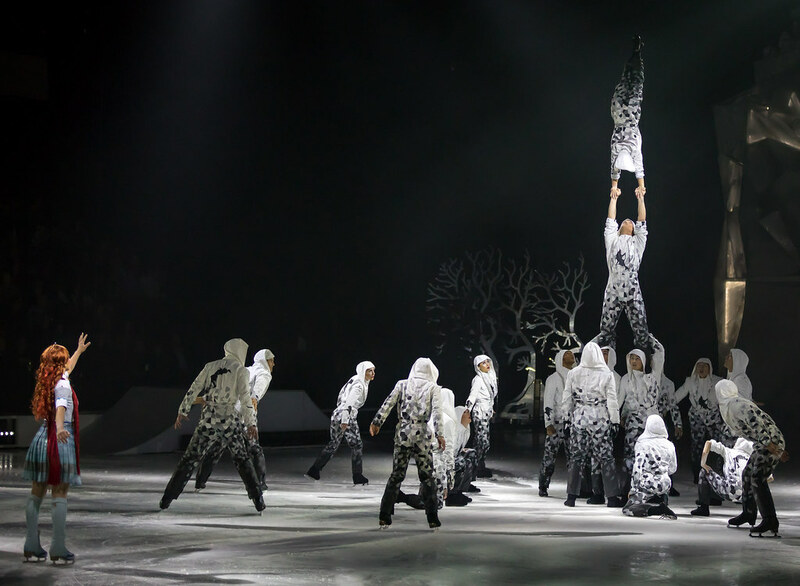 They are joined by a group of acrobats and skaters performing intricate choreography. 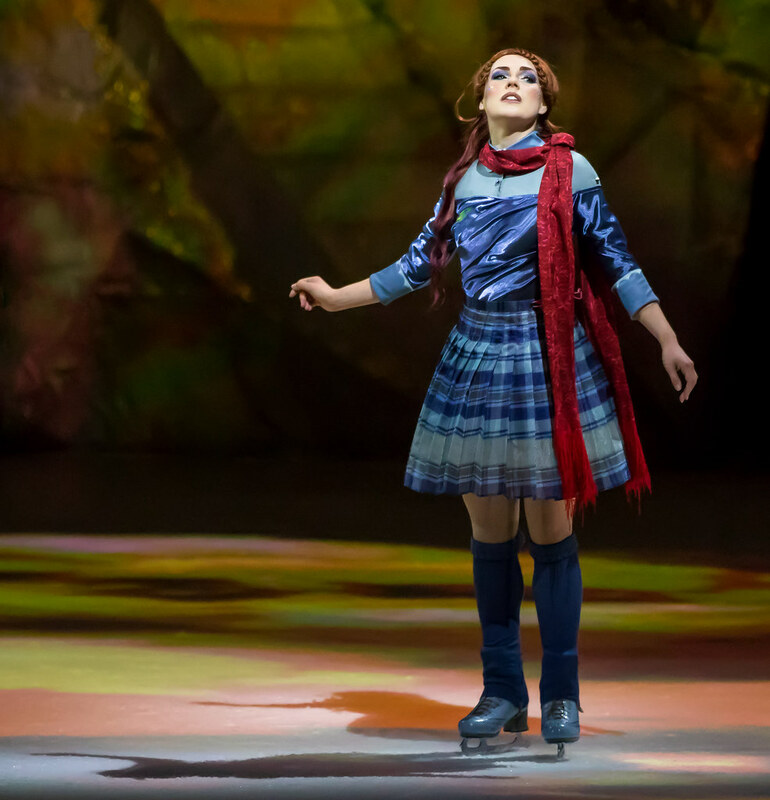 Crystal takes pleasure in transforming the different environments in her life through the power of her imagination. 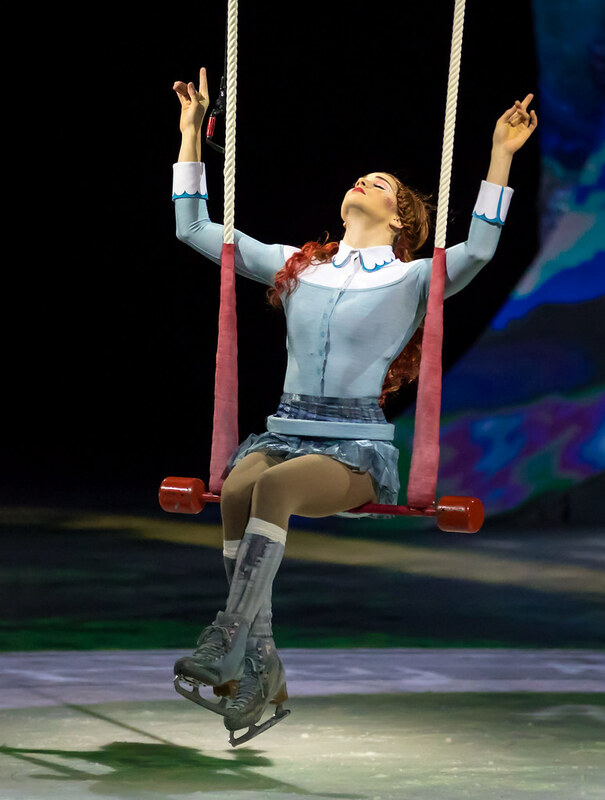 While her family sits passively in front of the television, she swings back and forth on her backyard swing, which eventually soars to the top of the arena. 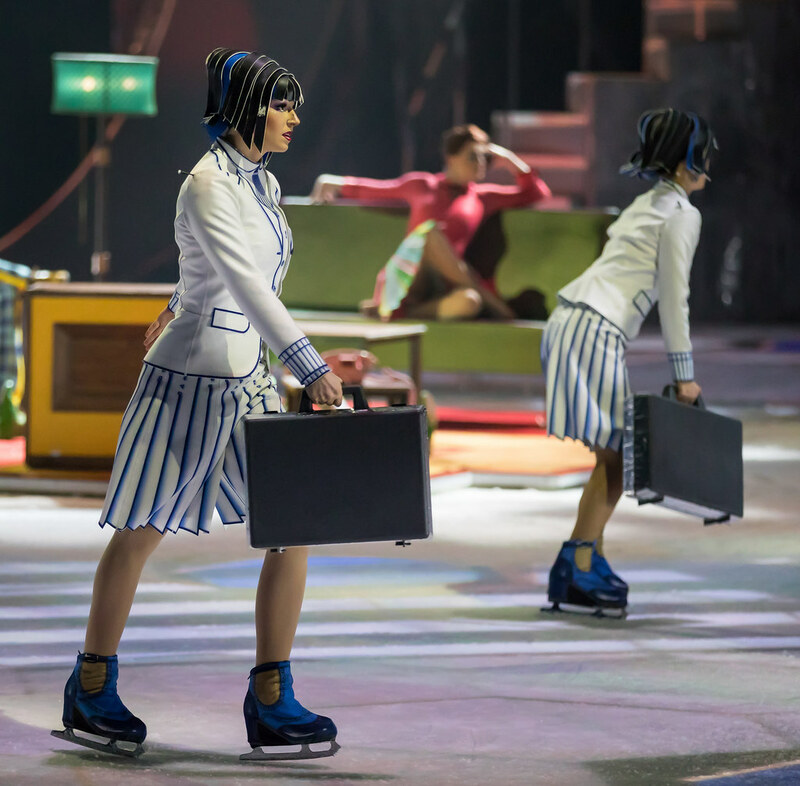 Landscapes of everyday life perform on the ice below while Crystal performs flips and spins on the trapeze (while wearing skates, which is a first for a Cirque du Soleil show). 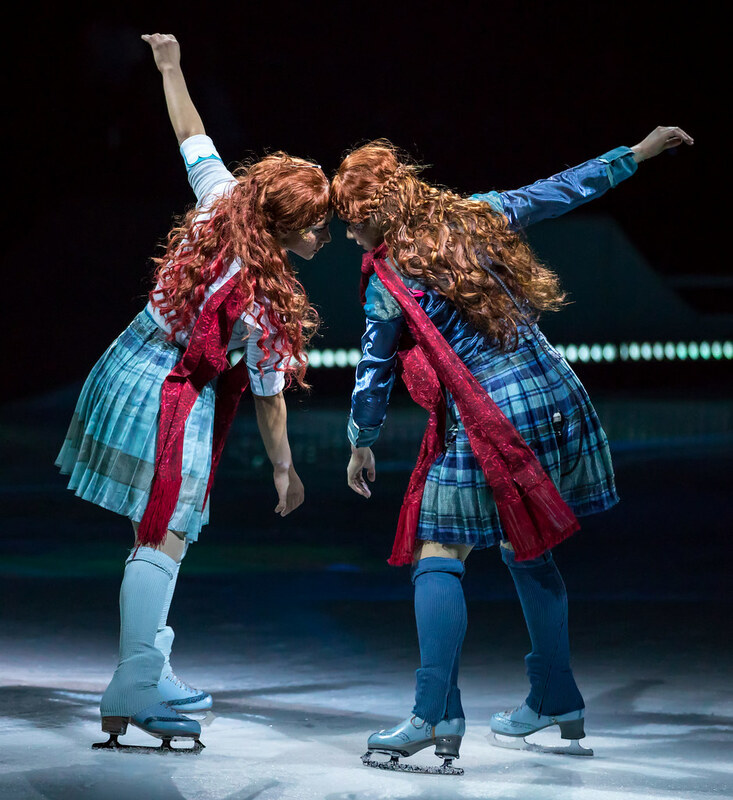 Later she is joined by her Reflection who perform a dynamic and beautiful skating duo. 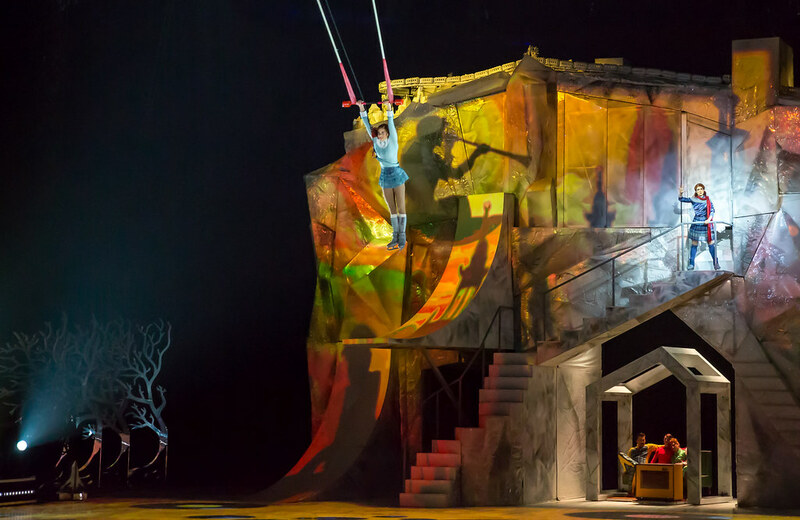 Crystal revisits her neighborhood playground, which she transforms at will as she learns to flex her new powers. 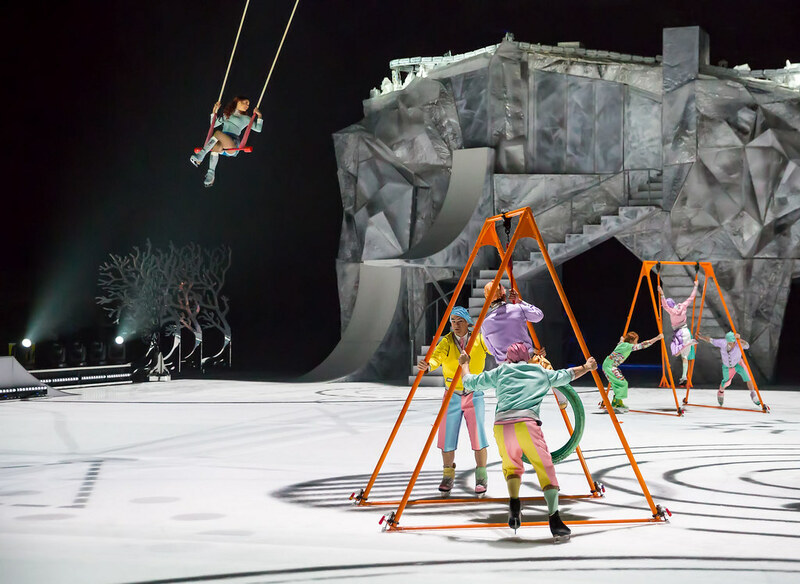 Children frolic on the frozen playground in a mass of colorful costumes and props. 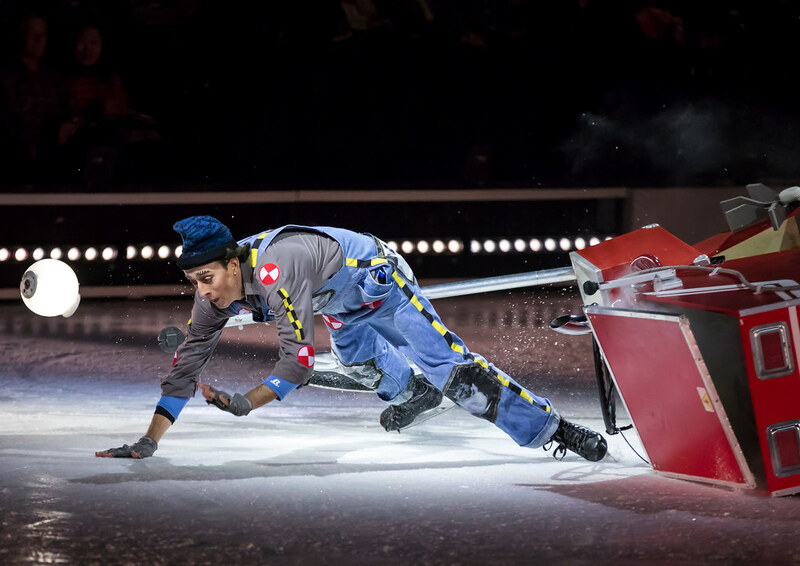 Later a hockey game on the pond turns into a high-octane romp on ramps where extreme skaters perform flips, twists, and jumps while skating at full speed. 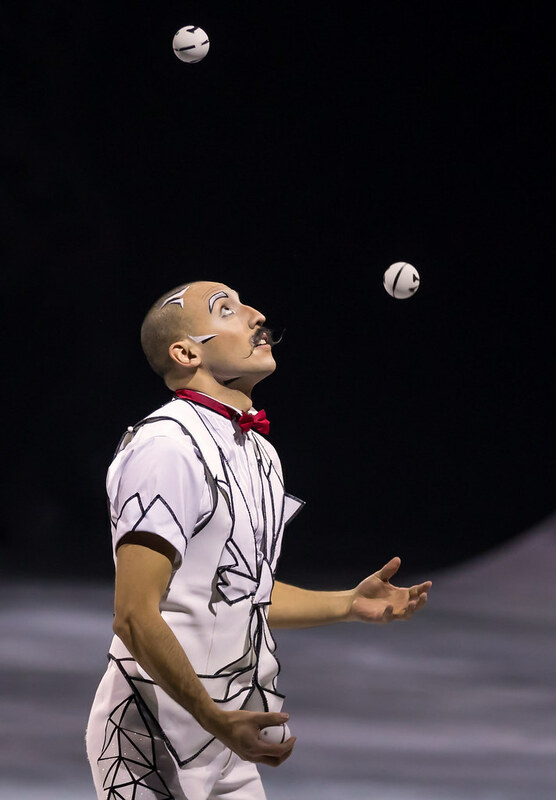 The clown stalks Crystal's subconscious world. 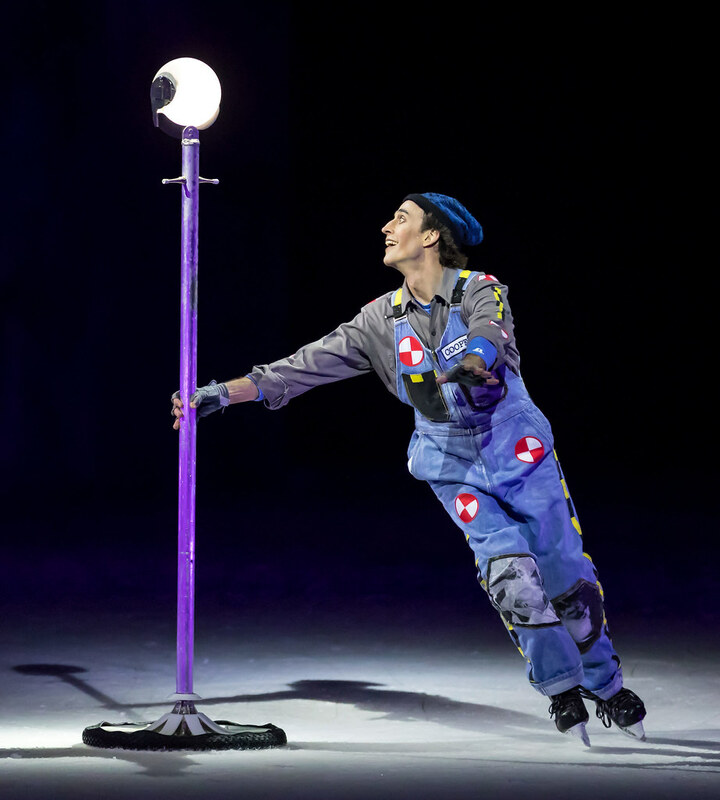 He is Crystal's imaginary friend, motivating her whenever she needs a friendly push. 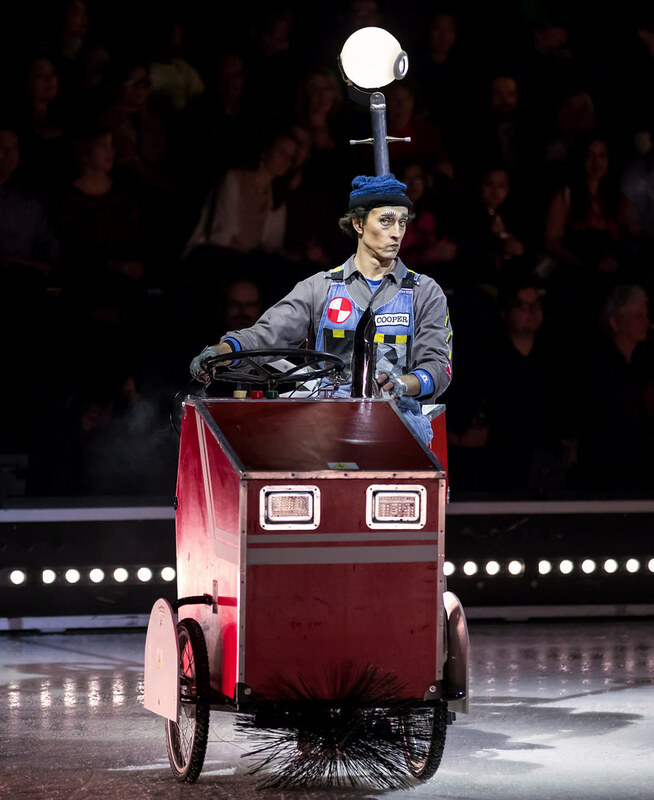 He appears in various scenes, and entertains the crowd between scenes. 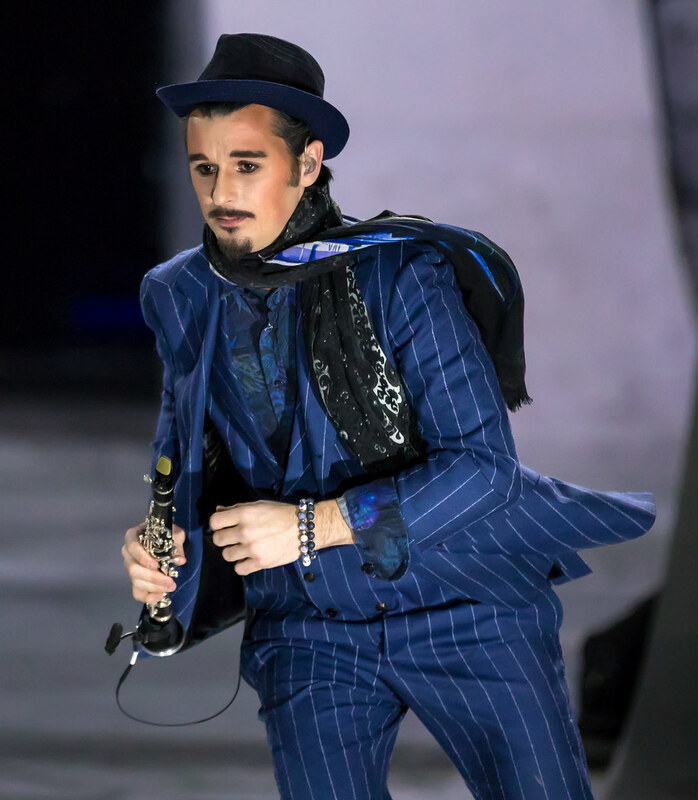 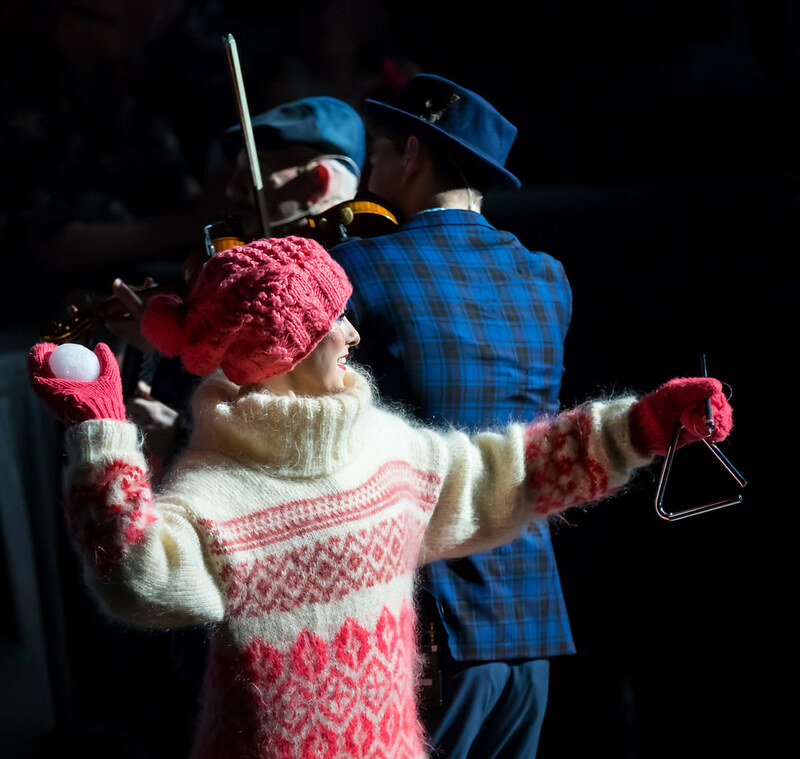 All performers wear three to four different costumes. 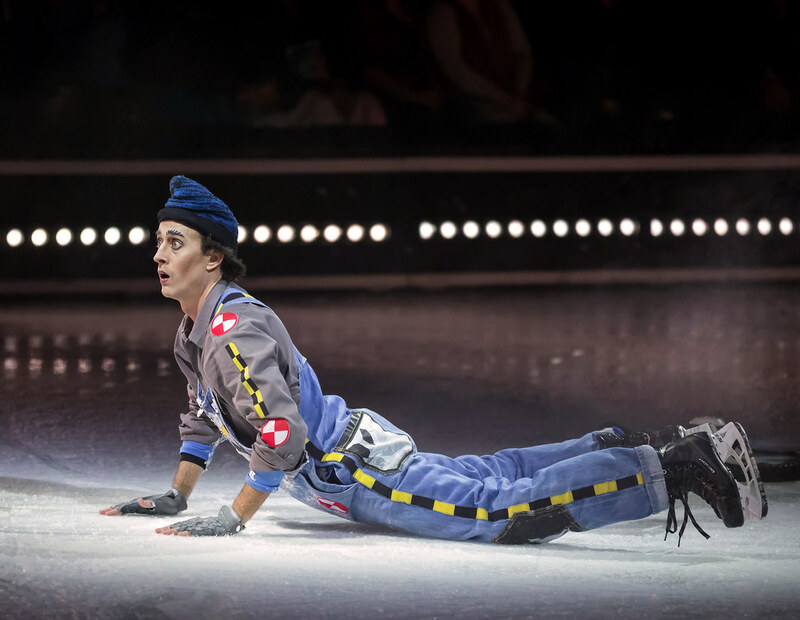 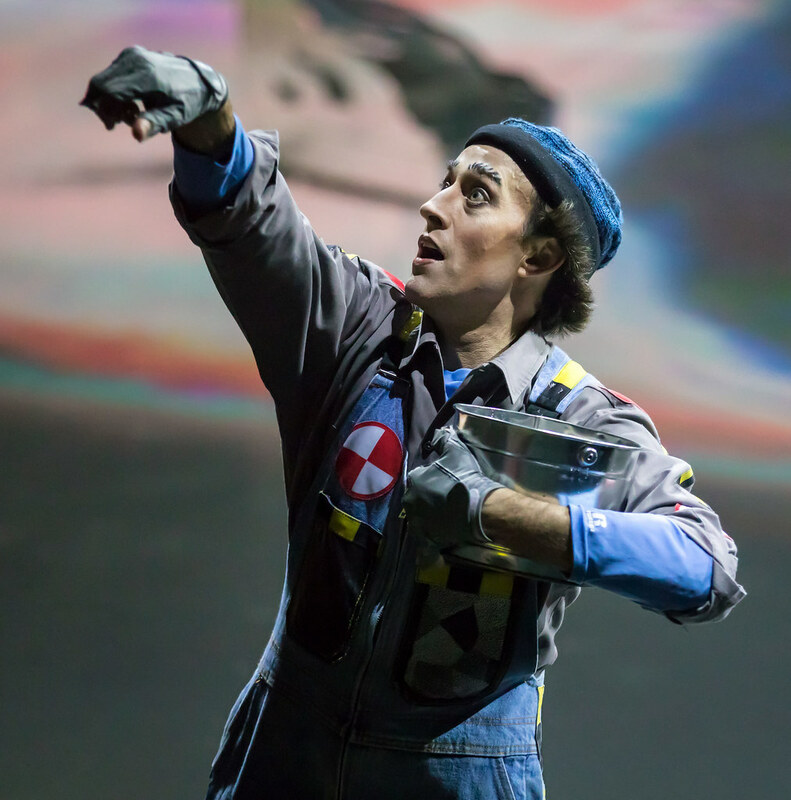 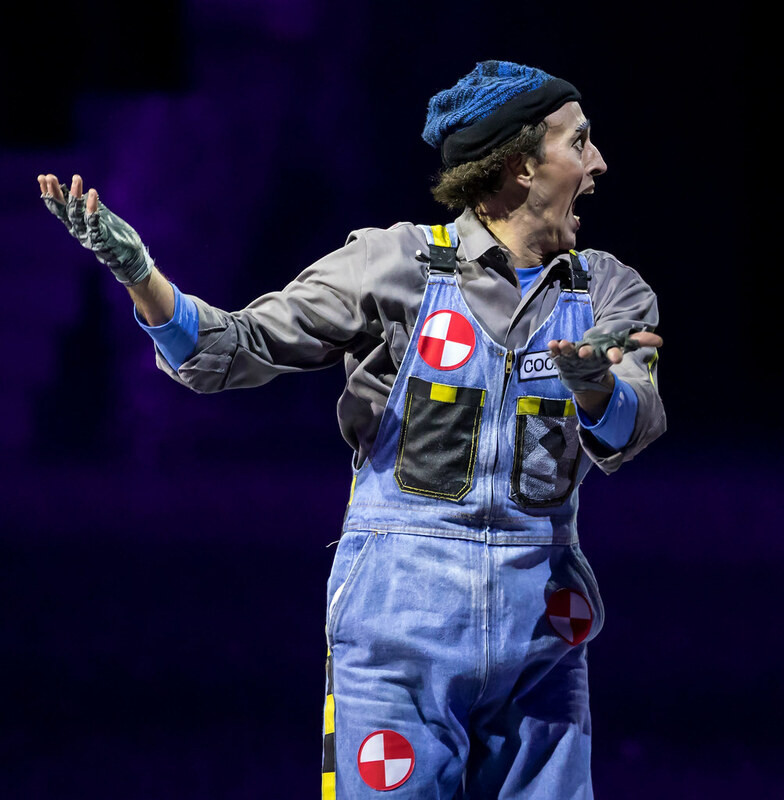 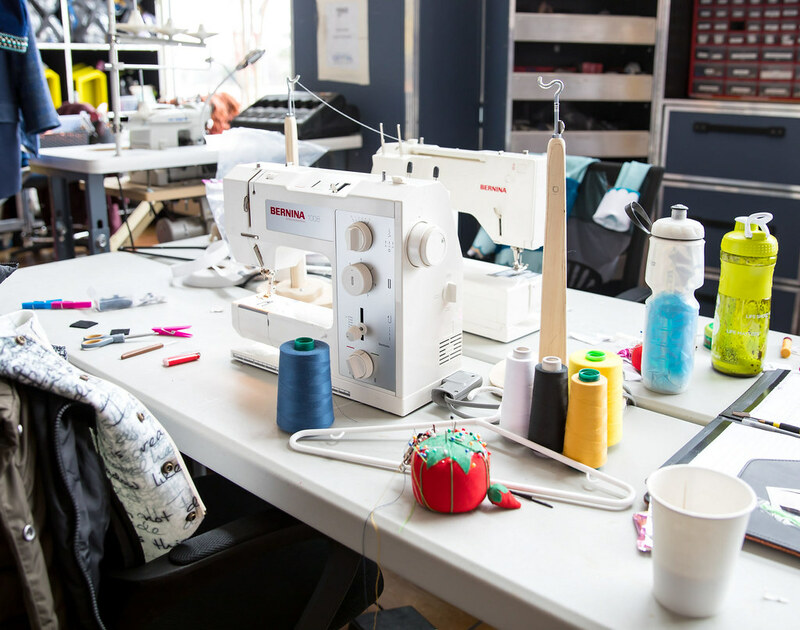 Costumes are equipped with full length zippers and magnets to help performers quickly change costumes between scenes. 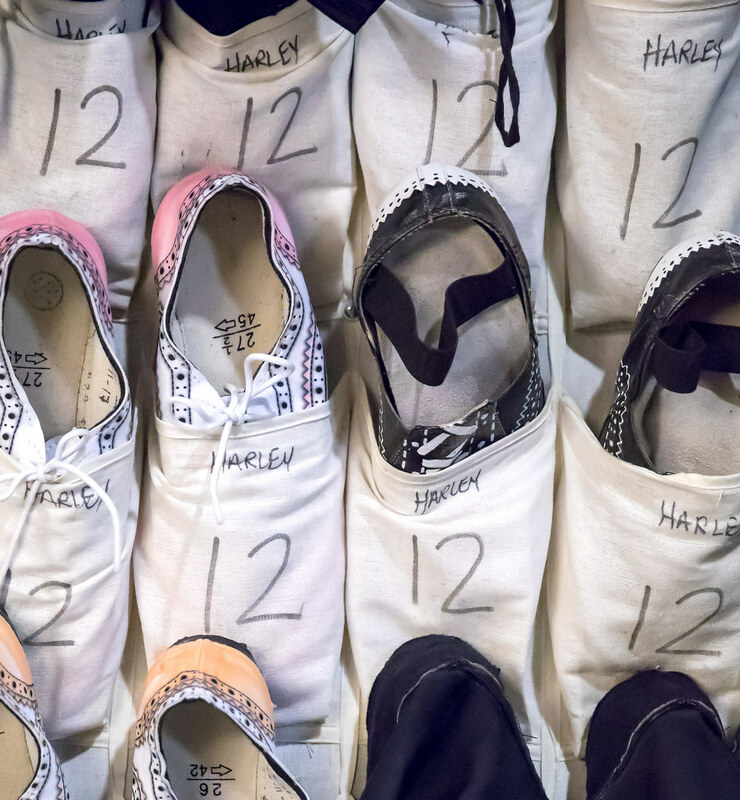 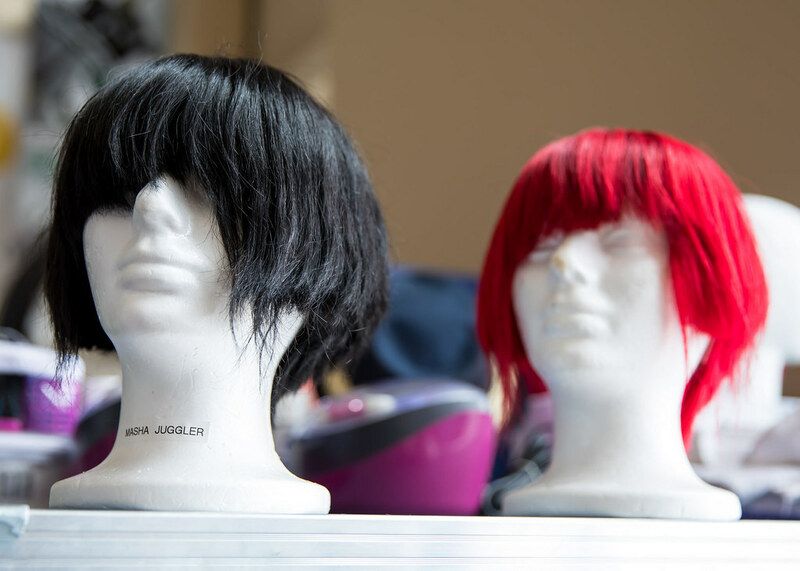 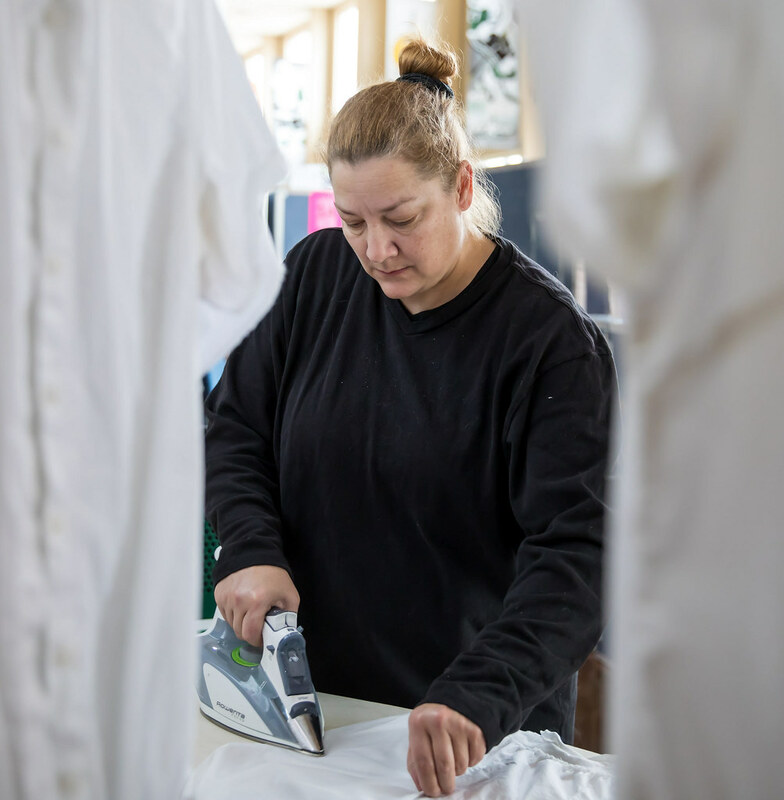 Four full time crew members travel with the show to maintain all of the costumes. 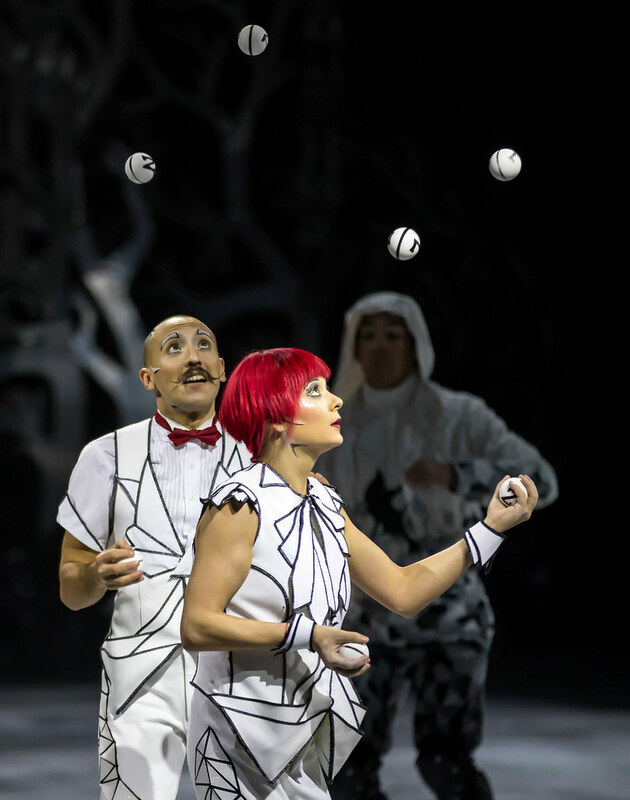 Cirque du Soleil Crystal has performances at the HEB Center in Cedar Park through February 18th and then travels across the United States and Canada with the last stop at the Canalta Centre in Medicine Hat, Alberta from May 23 - 27, 2018.